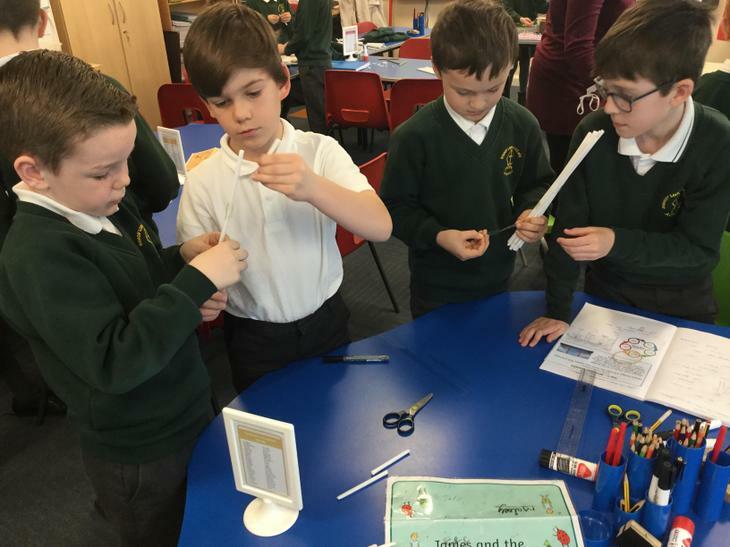 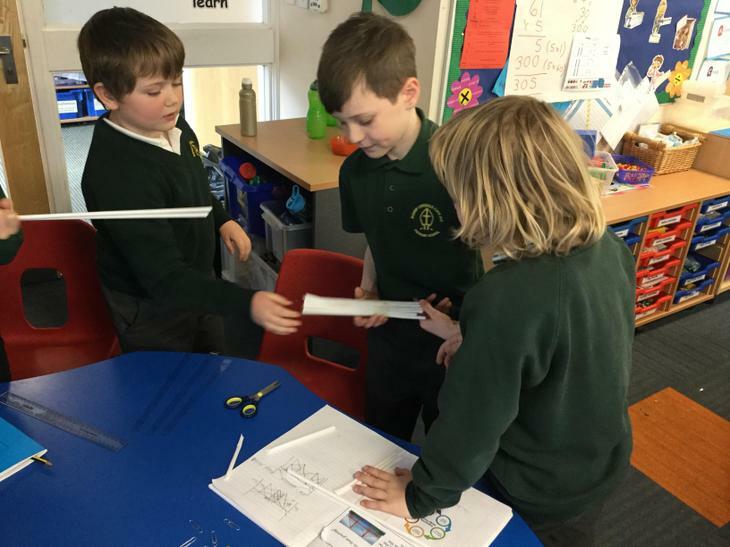 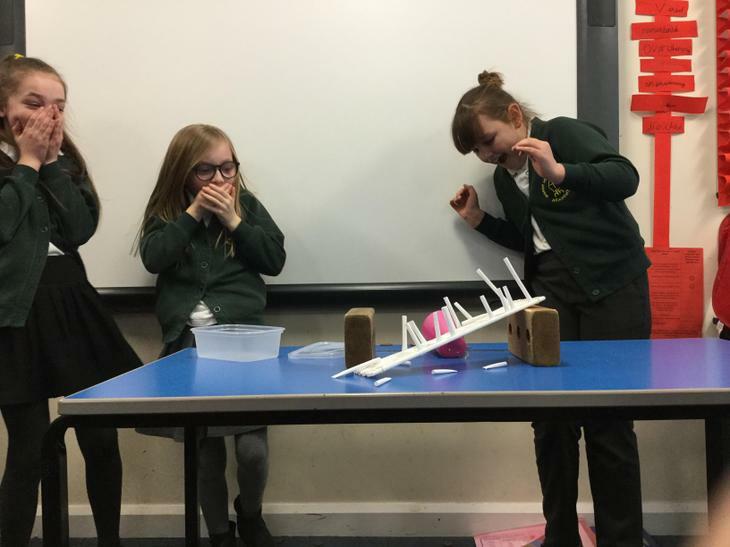 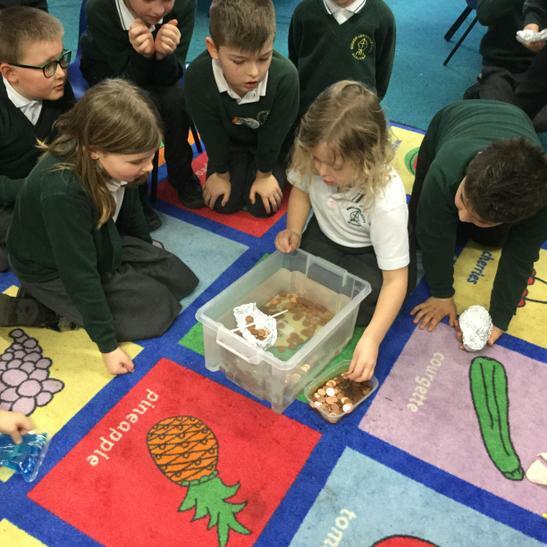 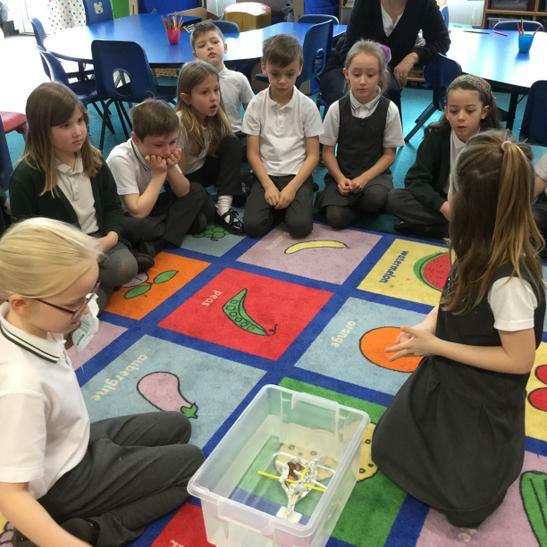 During Science Week 2019 each class were presented with a mystery STEM challenge. 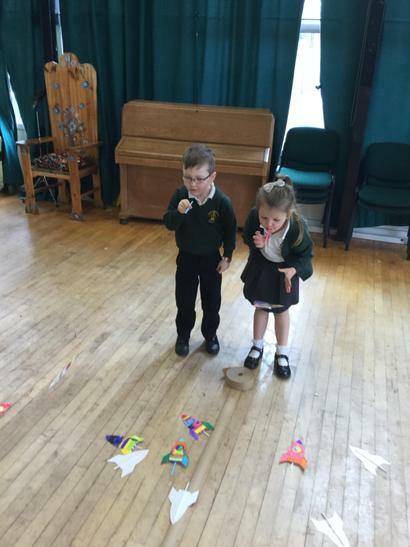 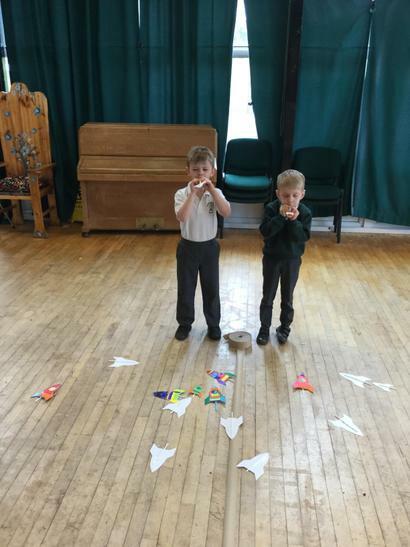 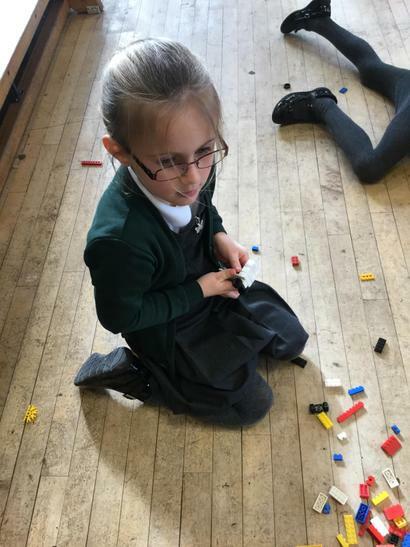 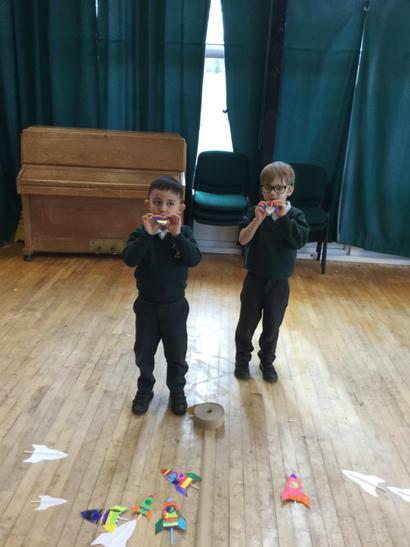 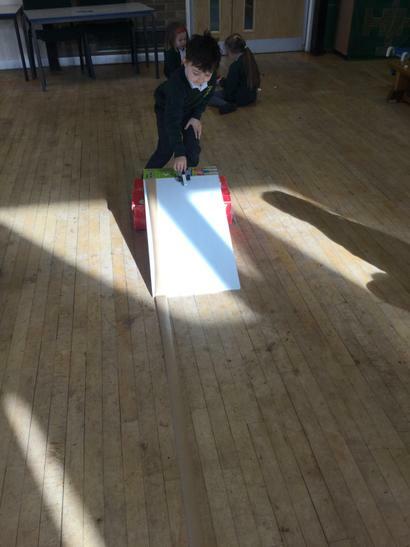 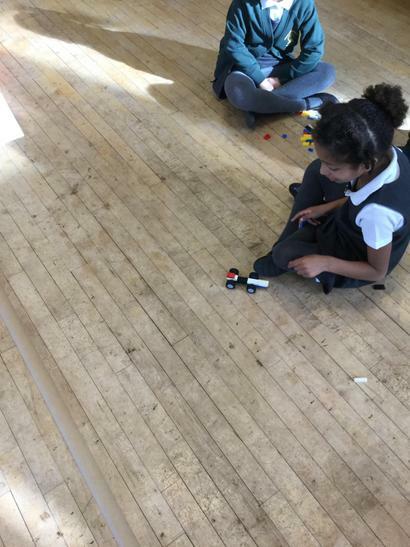 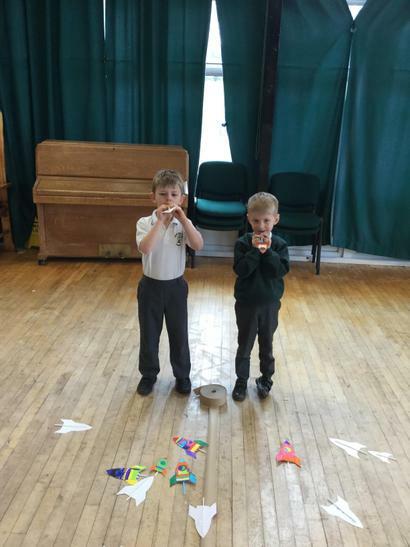 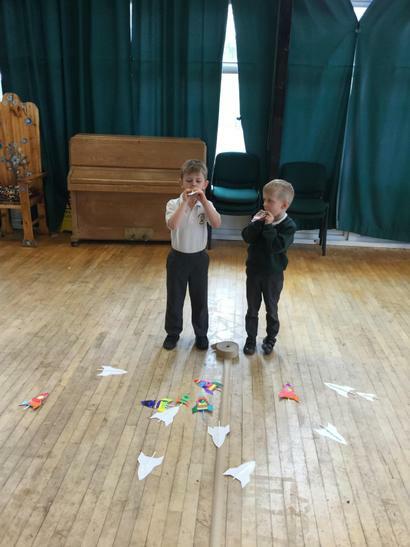 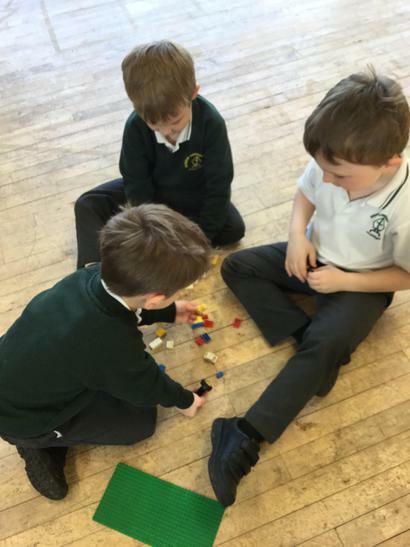 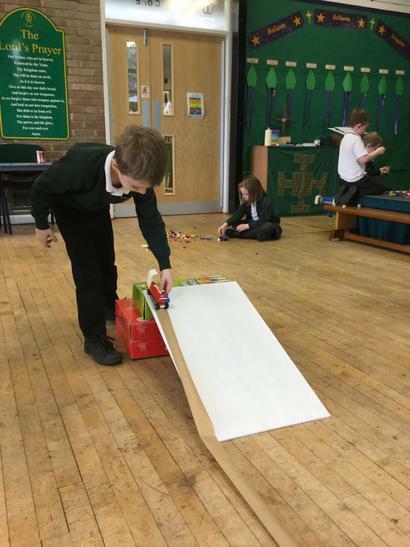 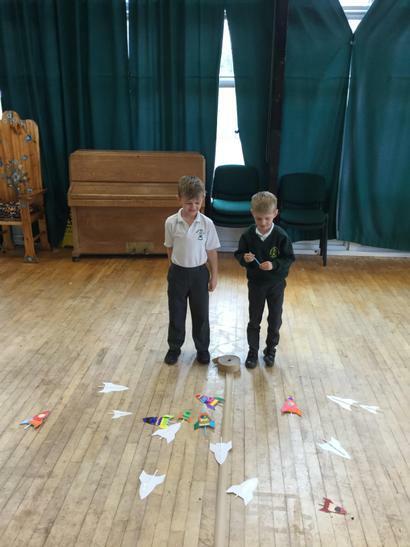 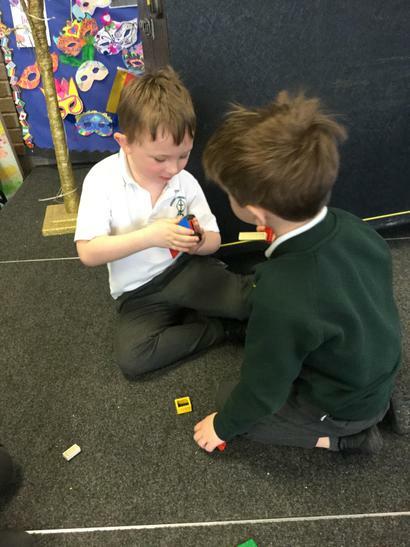 The children used Science, Technology, Engineering and Mathematic skills to take part in class competitions to design, build and test models for different journeys! 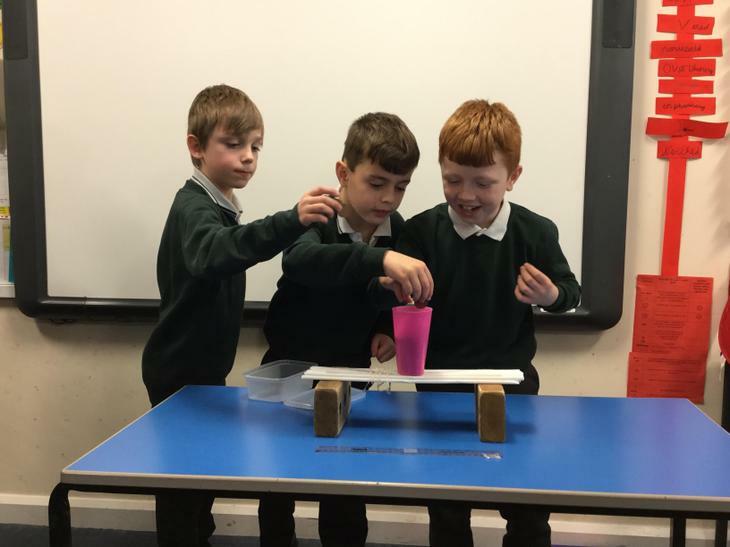 Our winning engineers from each class were presented with certificates during a special presentation assembly when each class had the opportunity to share their challenges. 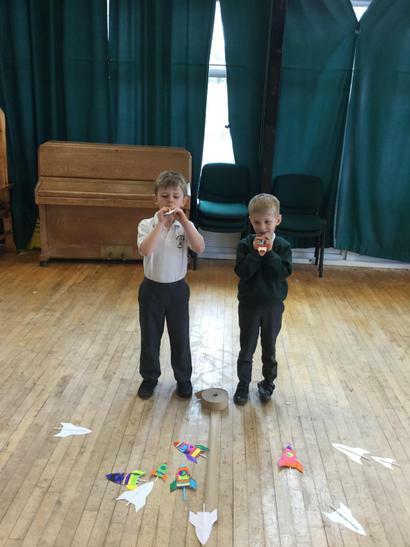 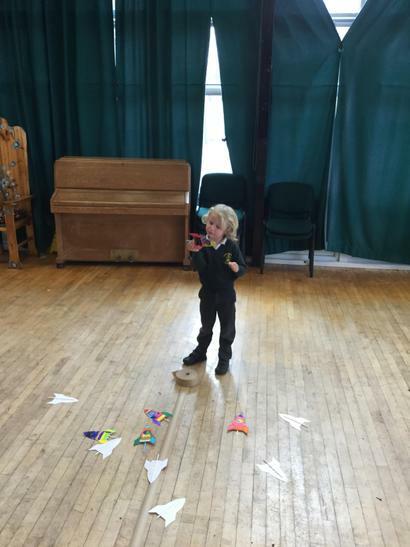 EYFS Rocket Lauchers 5,4,3,2,1 BLAST OFF! 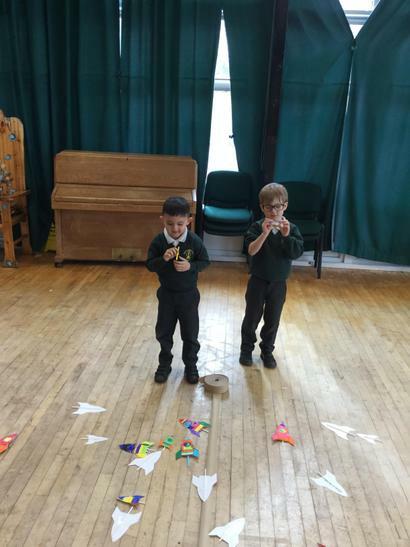 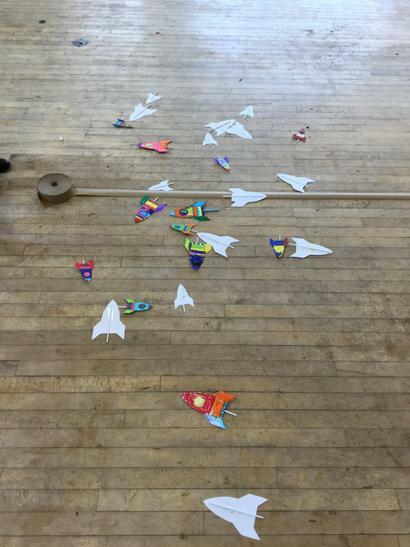 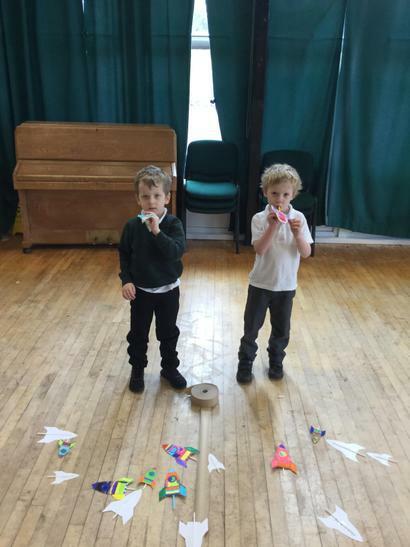 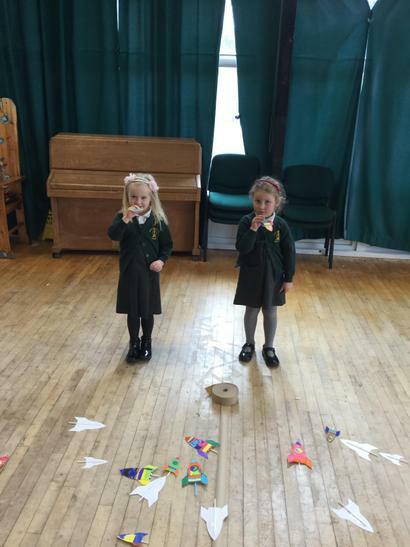 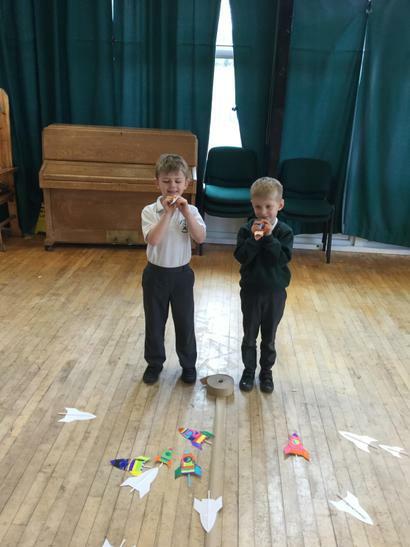 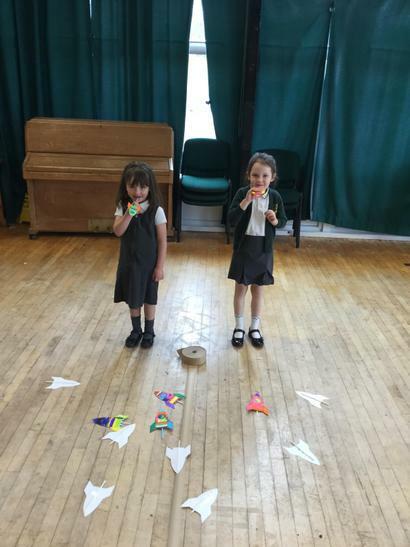 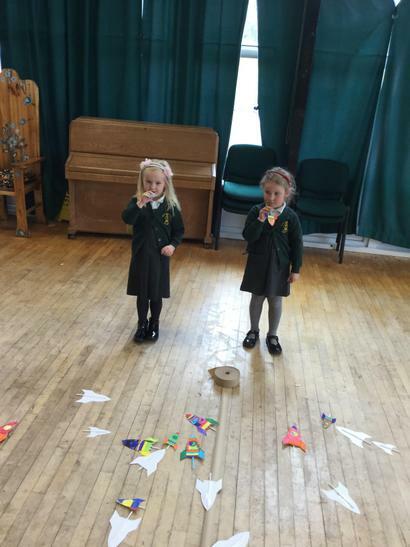 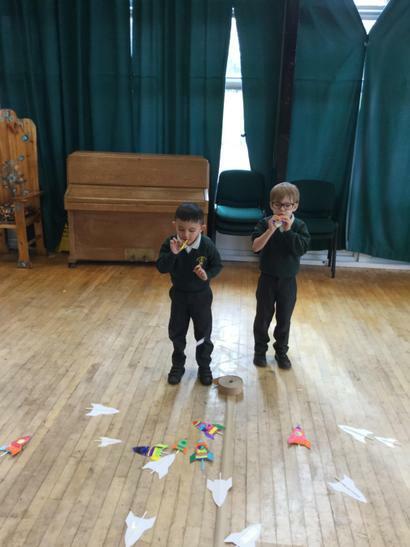 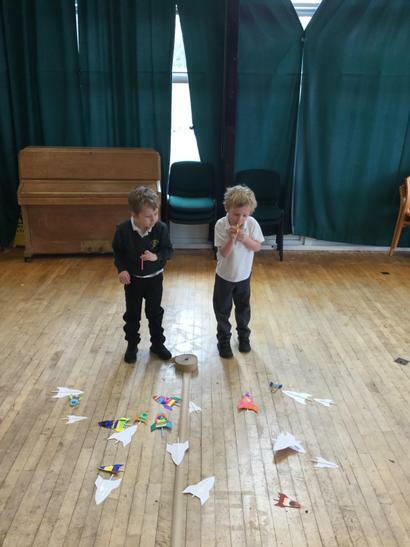 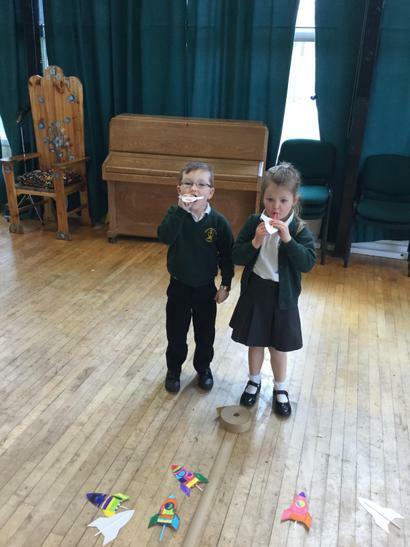 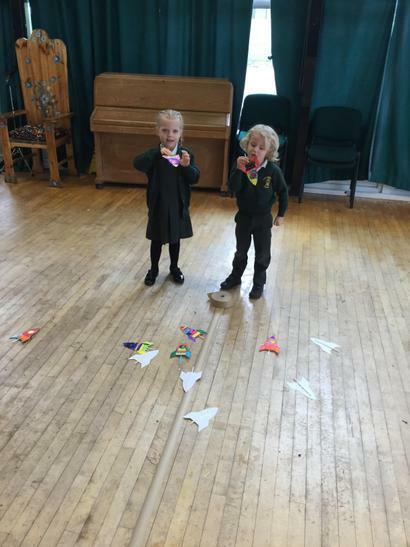 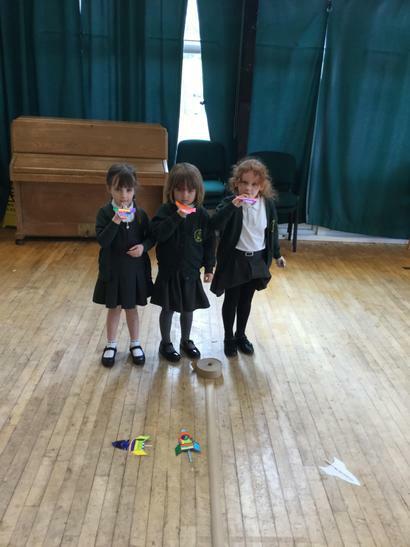 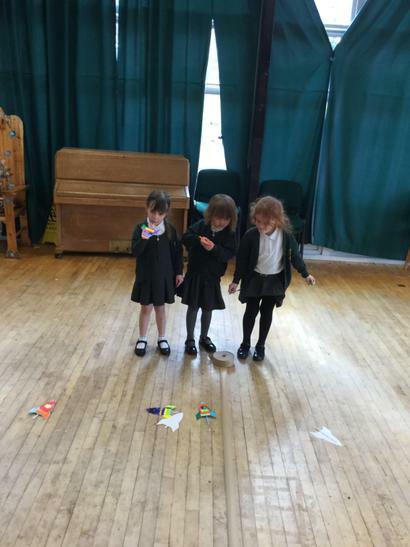 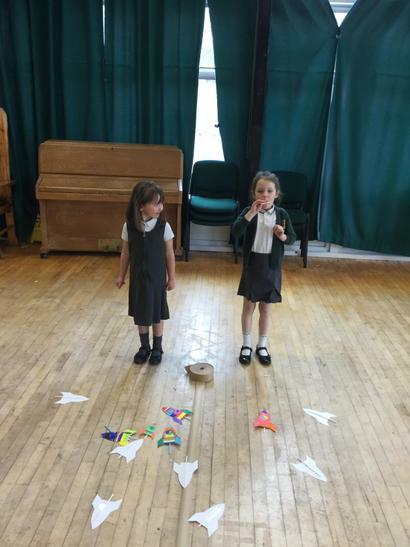 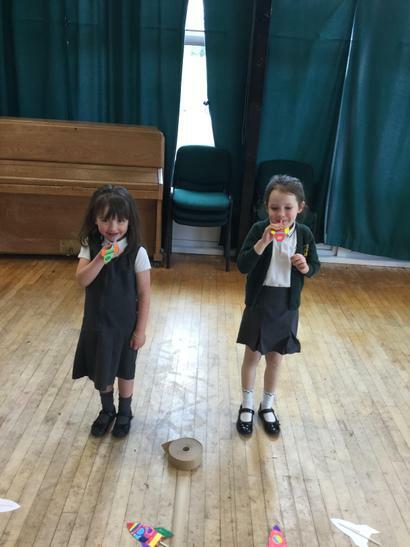 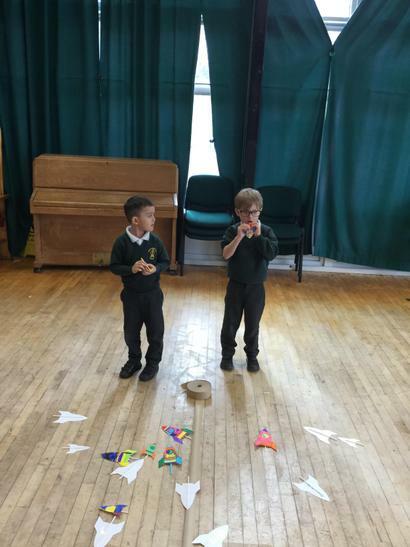 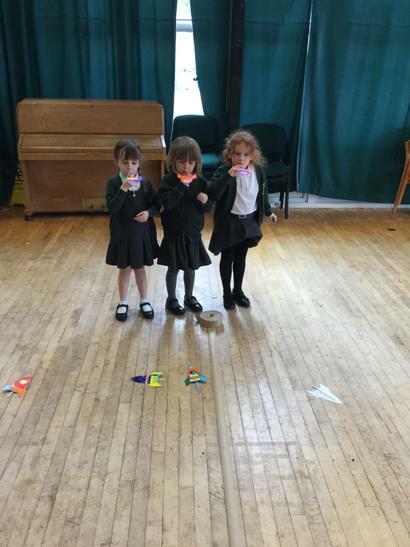 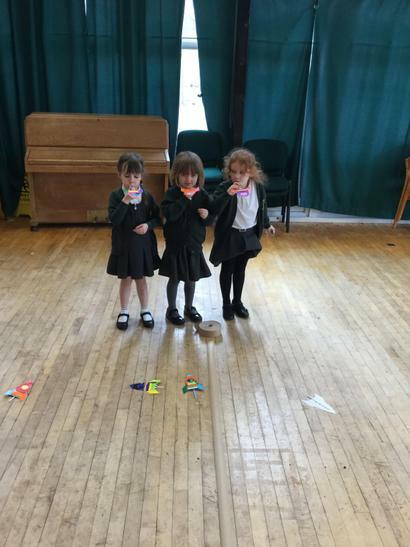 Nursery and Reception children made their own fantastic flying rockets. 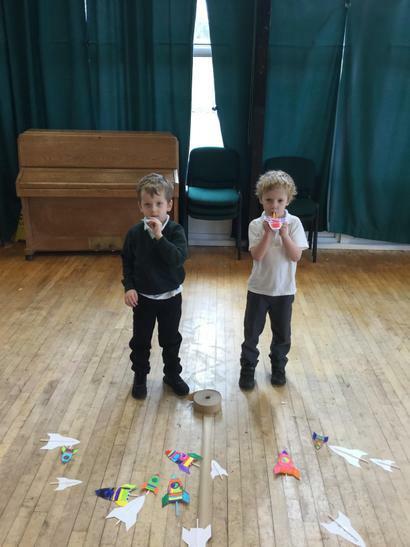 They selected the size of their rockets before decorating them and adding their launch device. 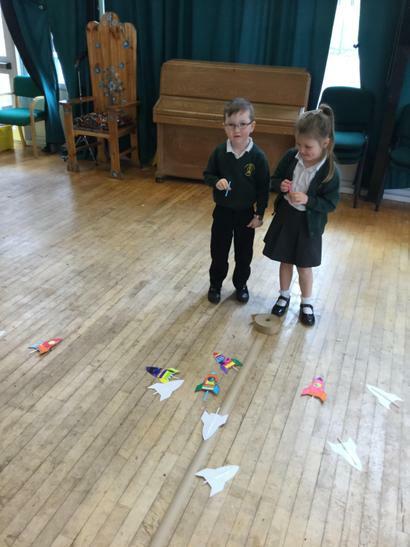 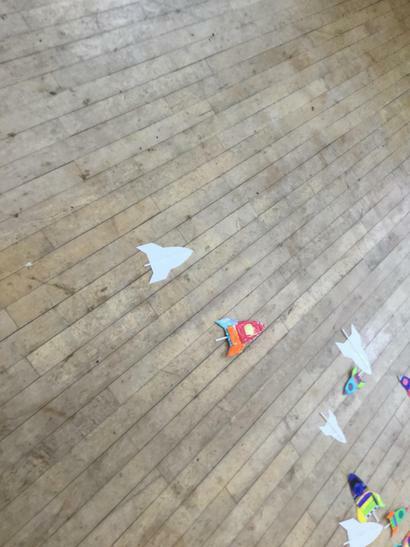 The children had great fun seeing how far they could make them fly! 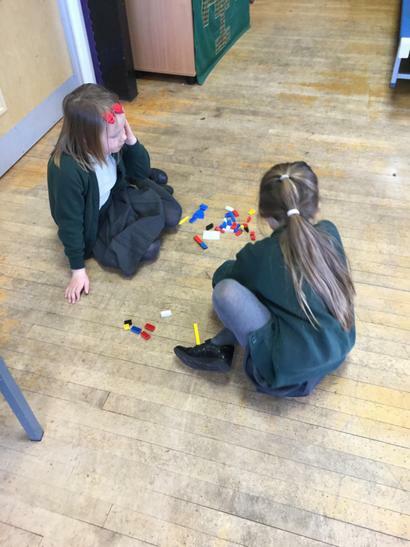 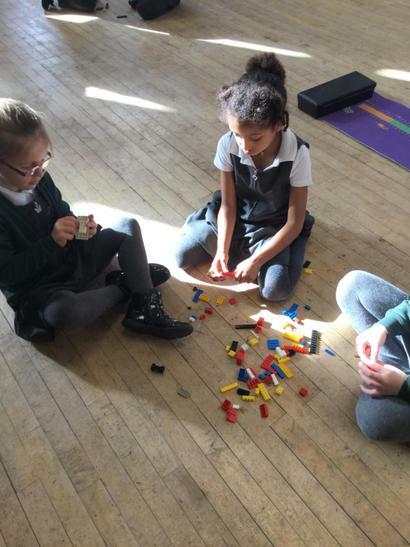 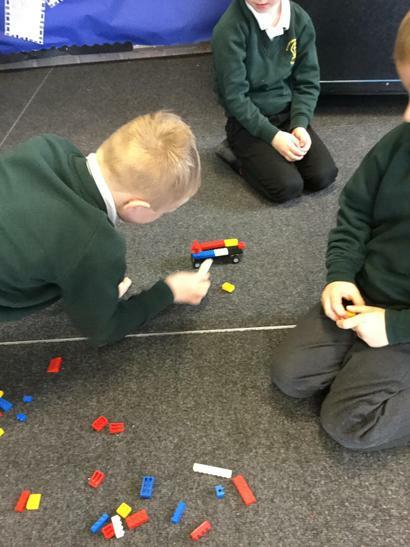 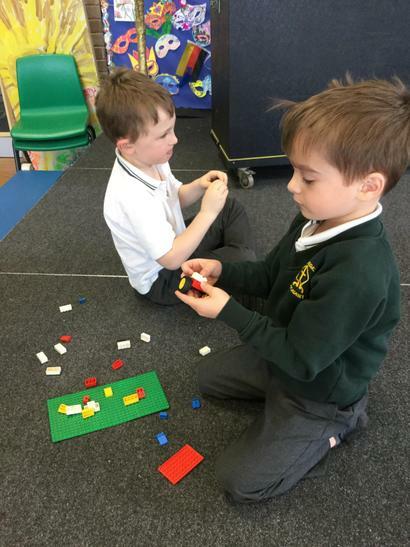 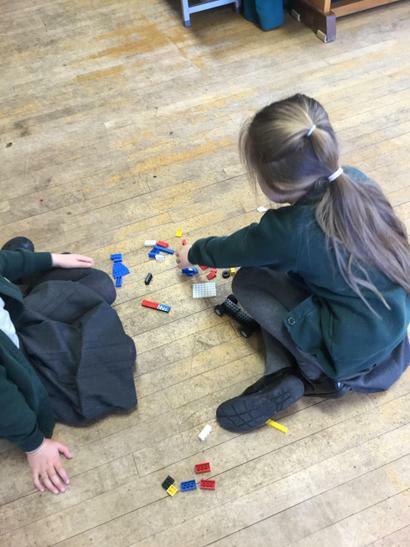 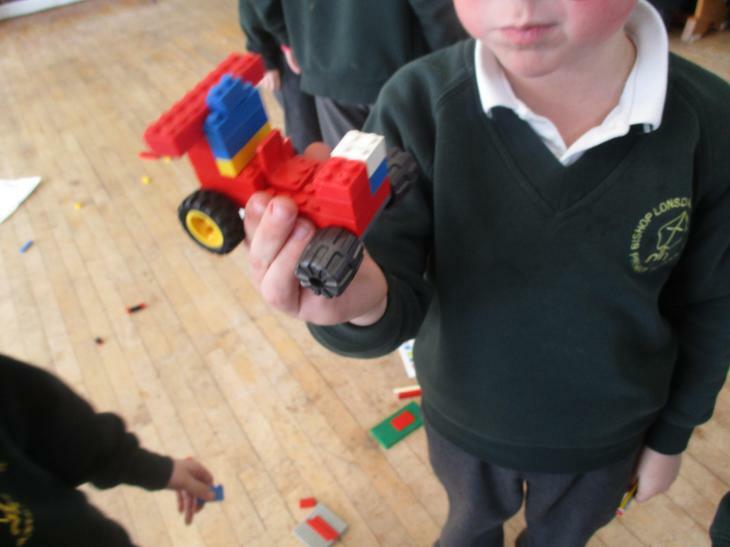 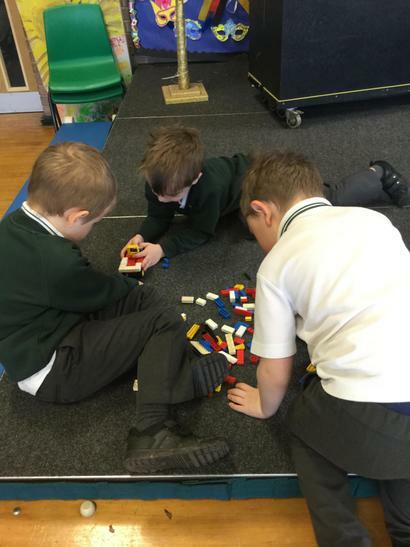 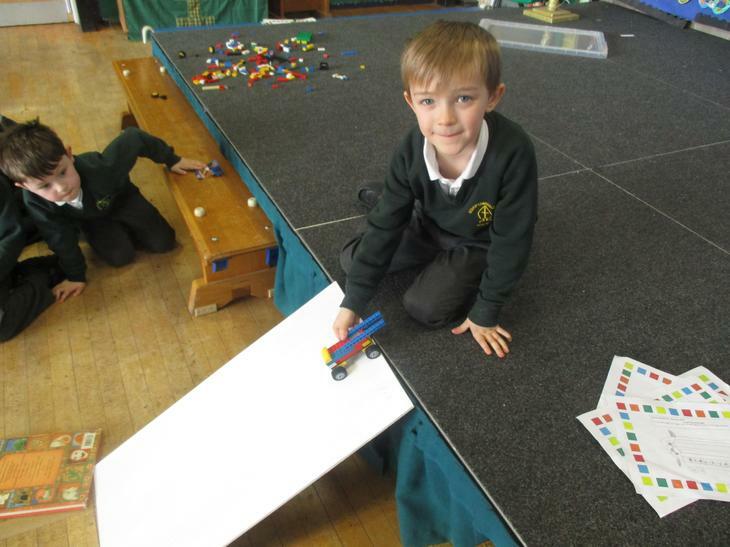 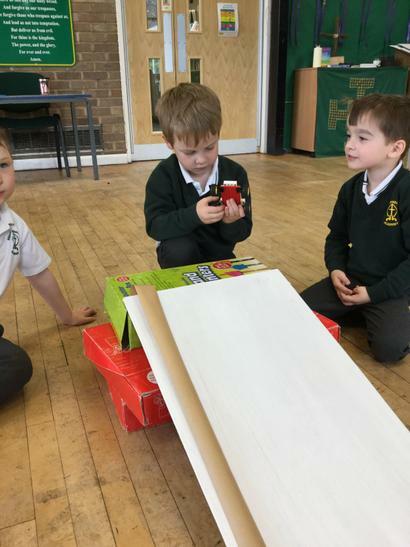 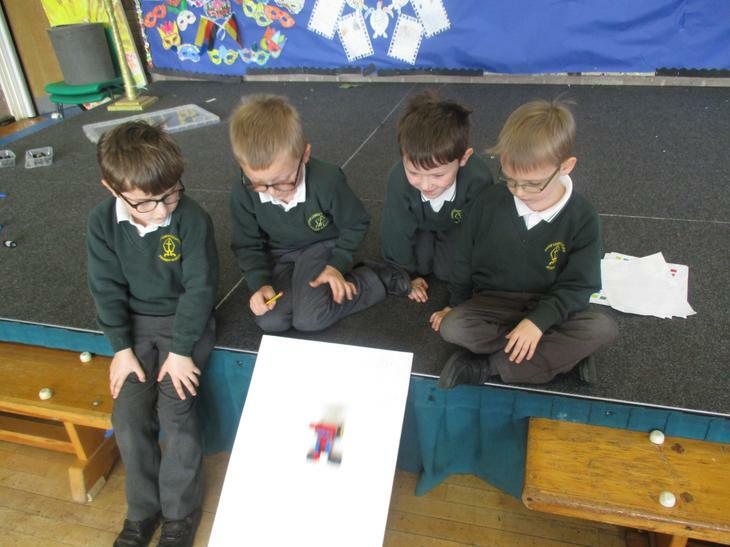 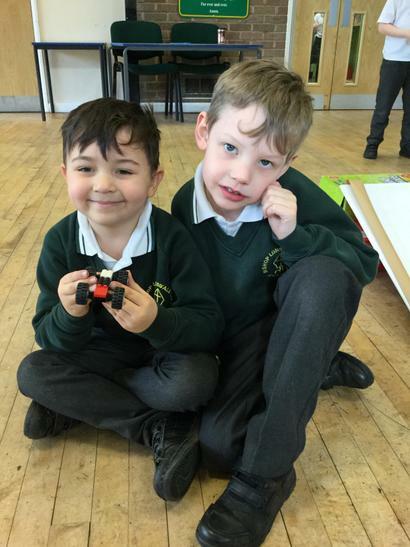 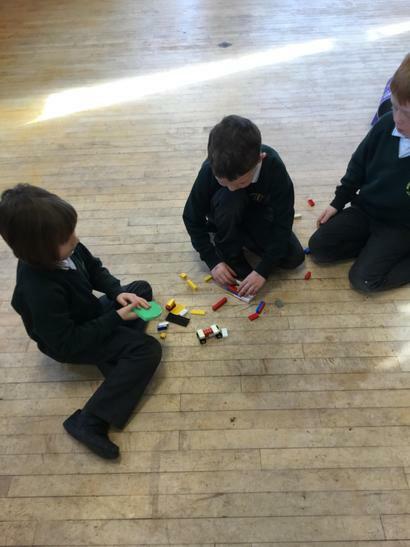 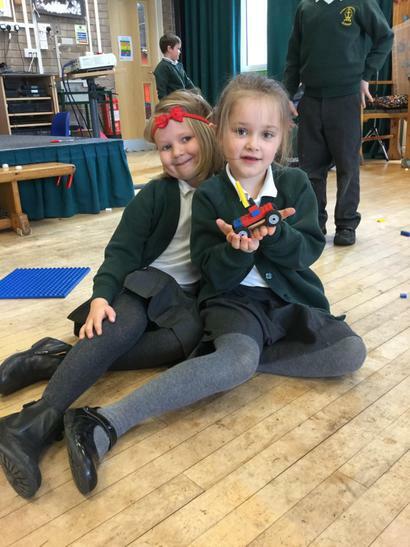 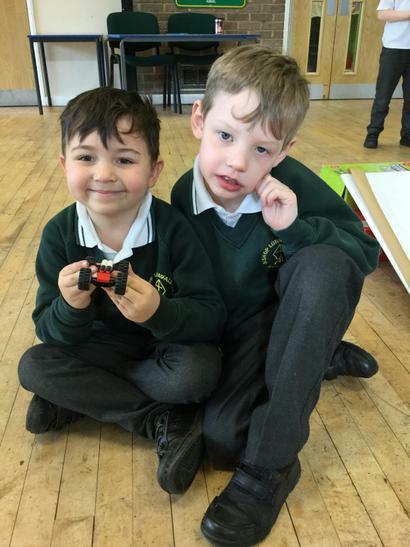 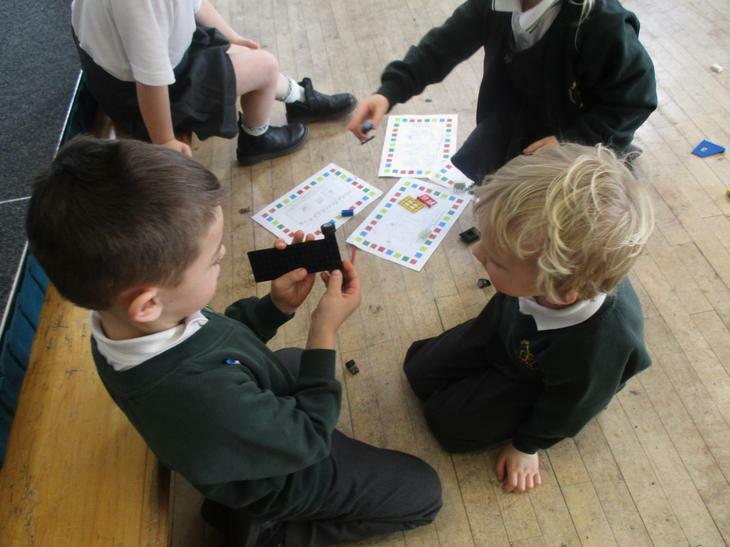 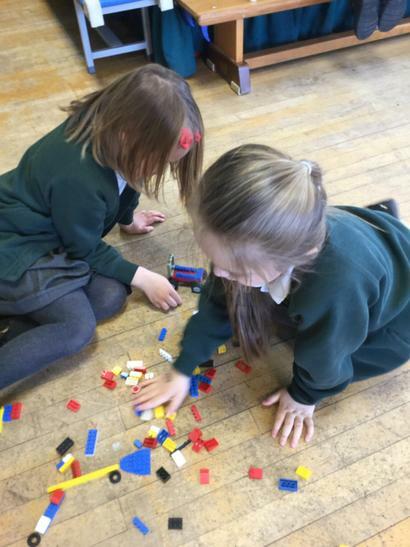 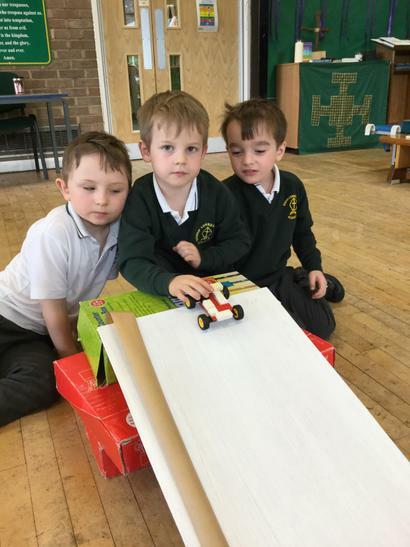 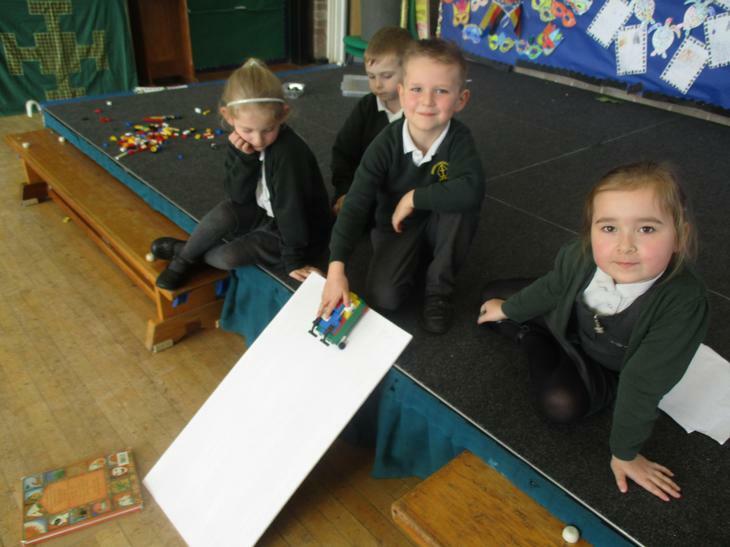 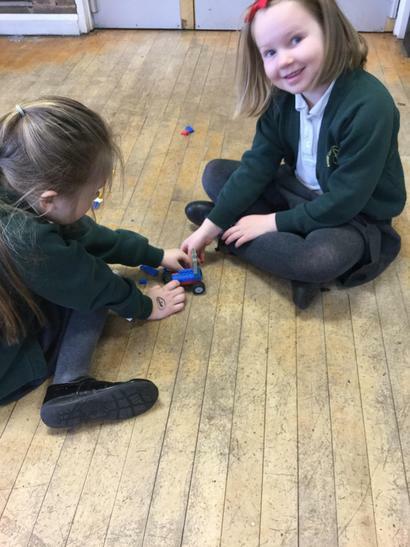 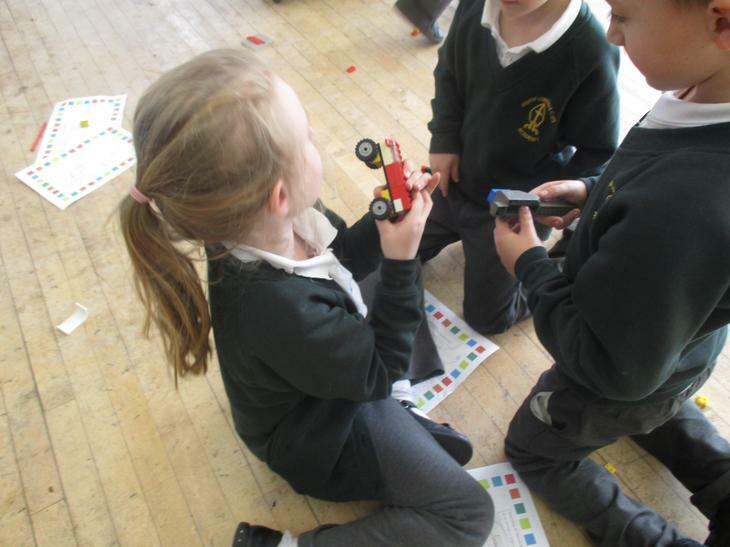 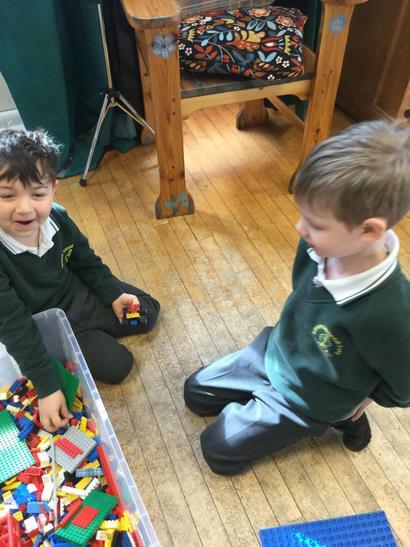 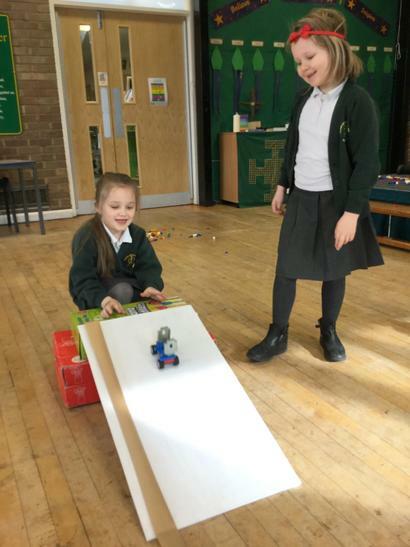 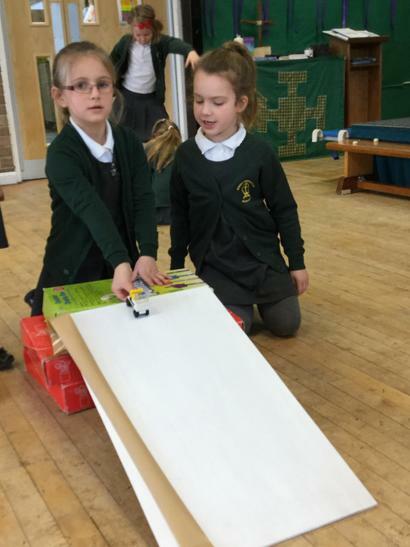 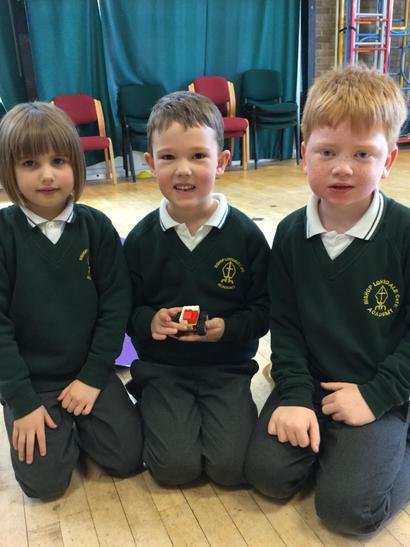 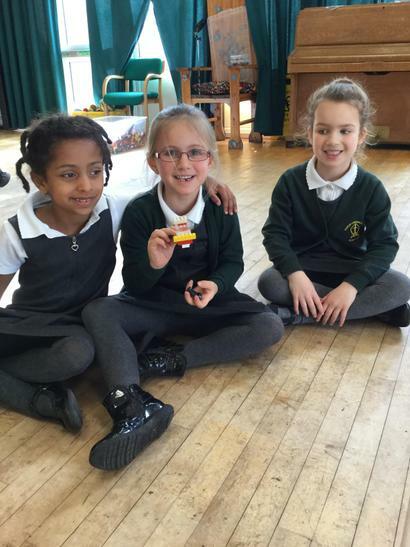 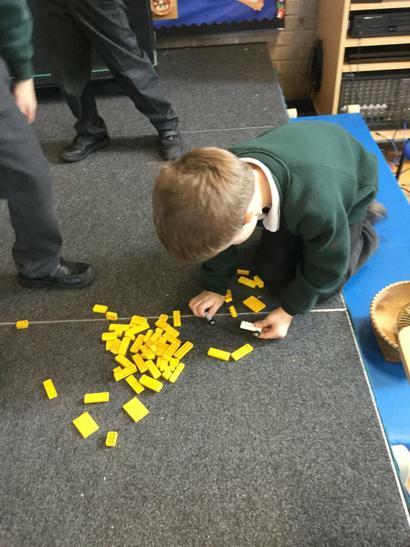 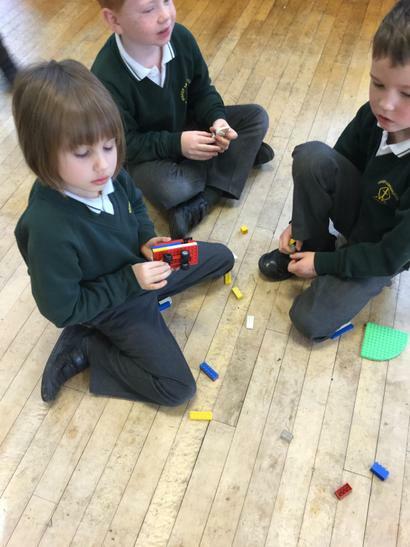 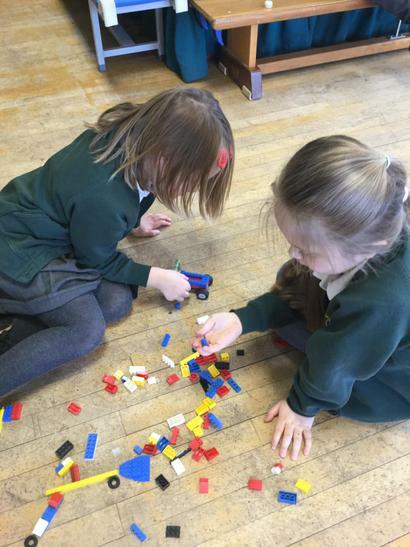 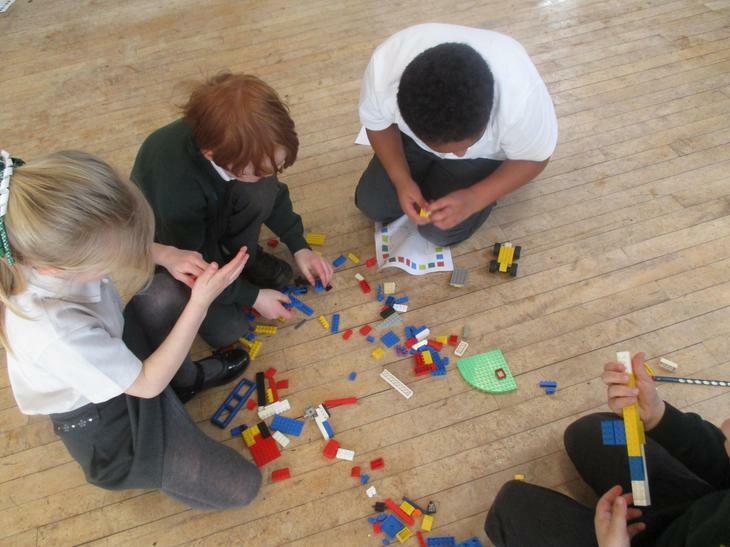 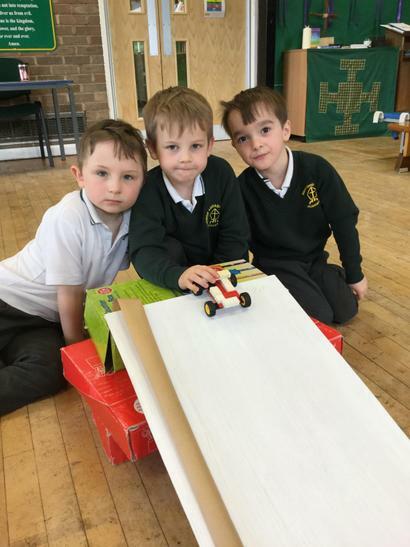 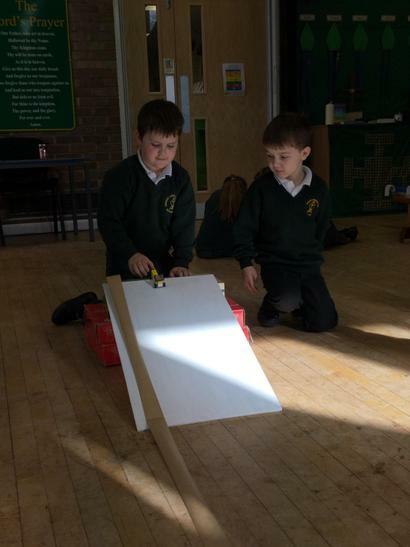 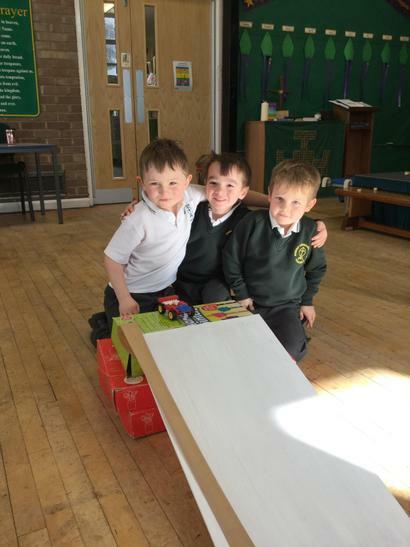 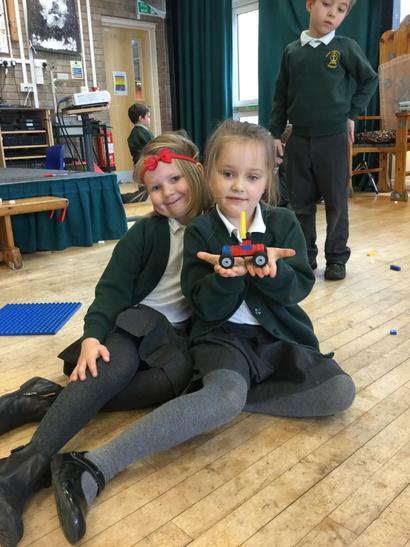 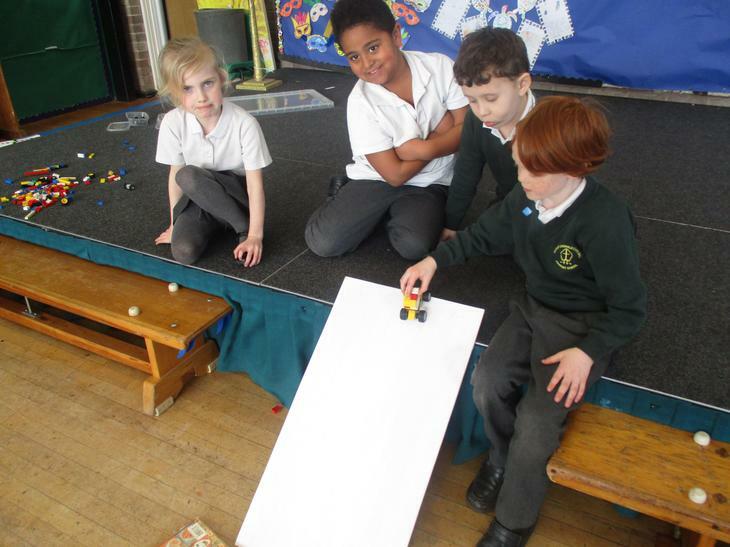 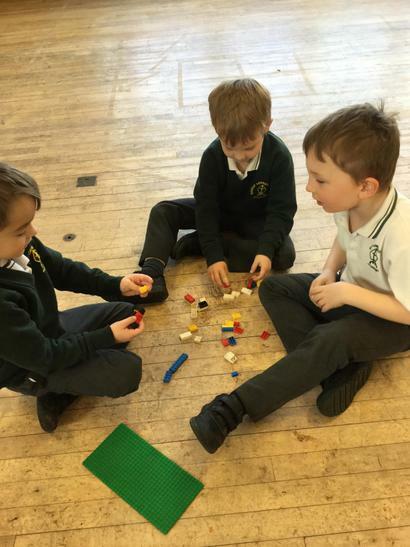 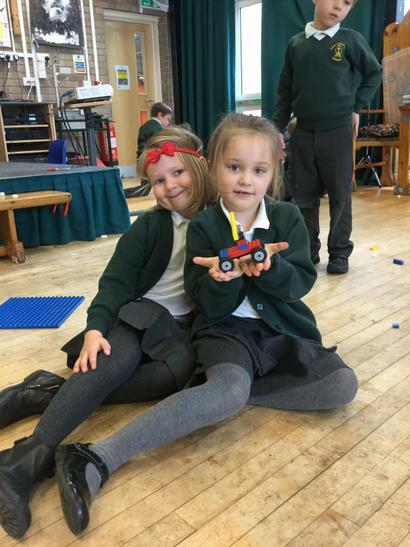 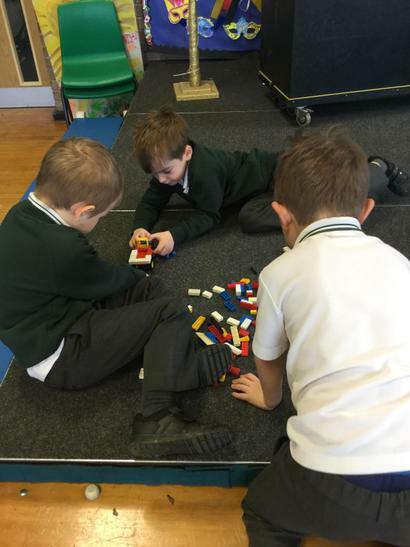 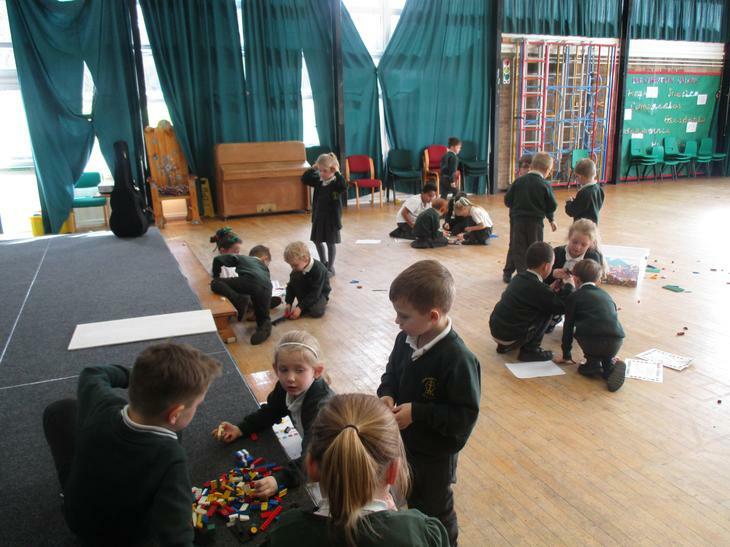 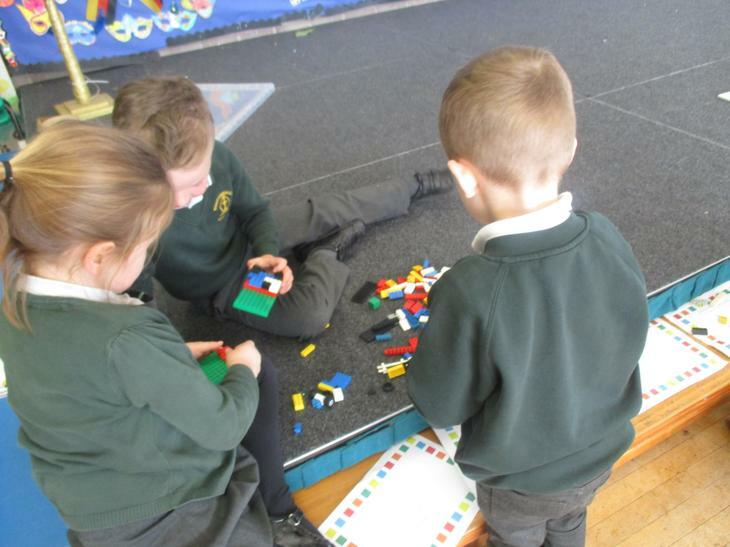 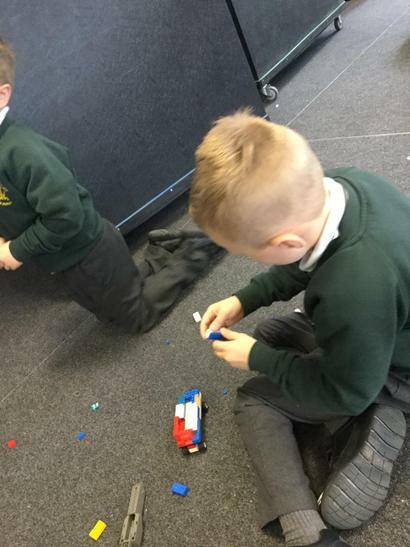 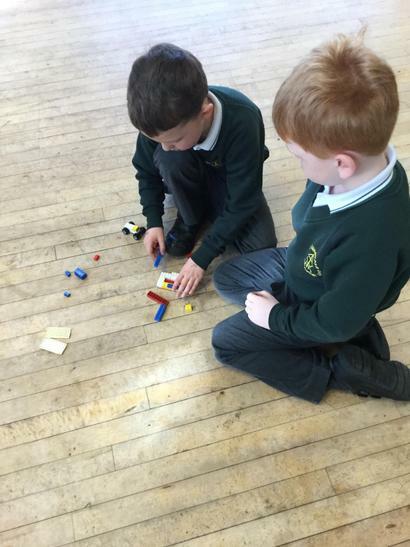 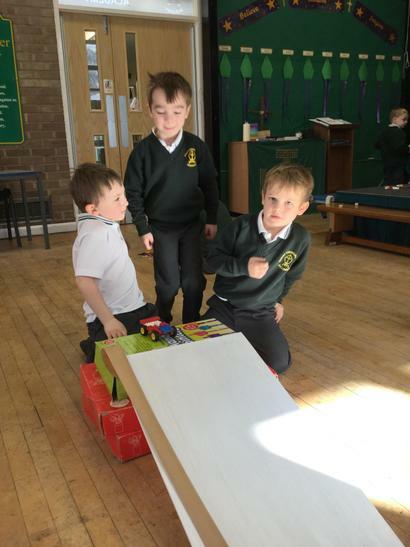 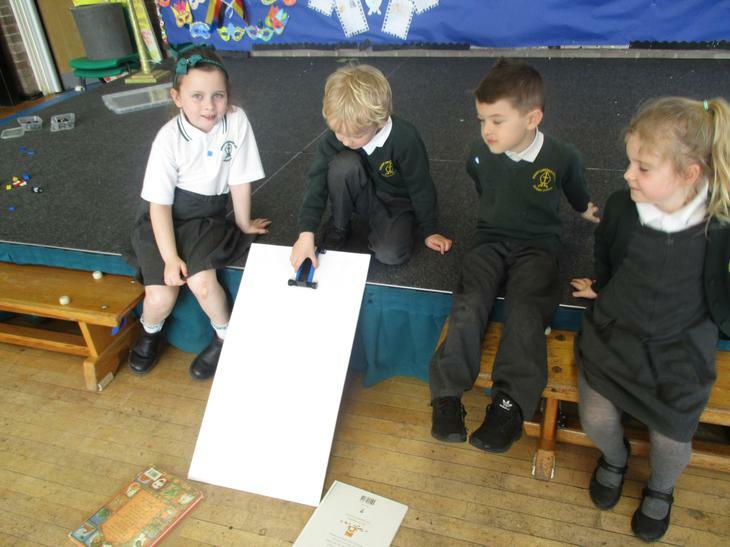 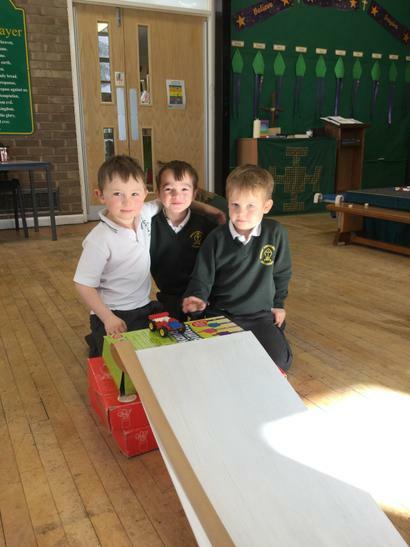 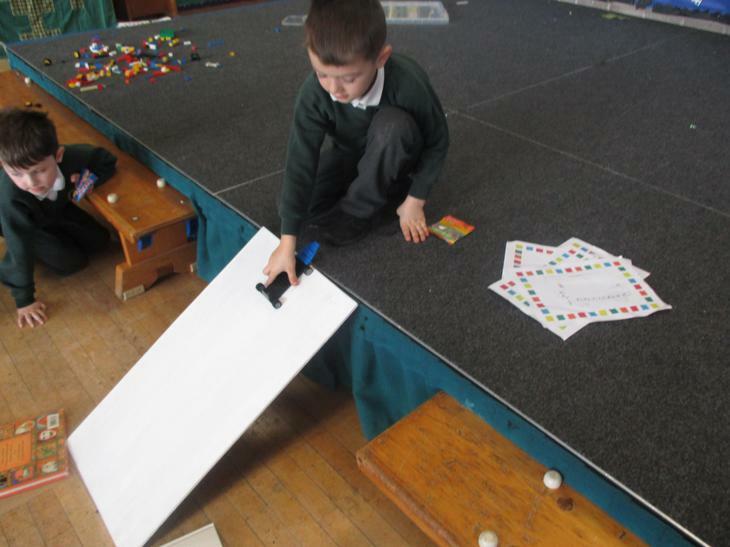 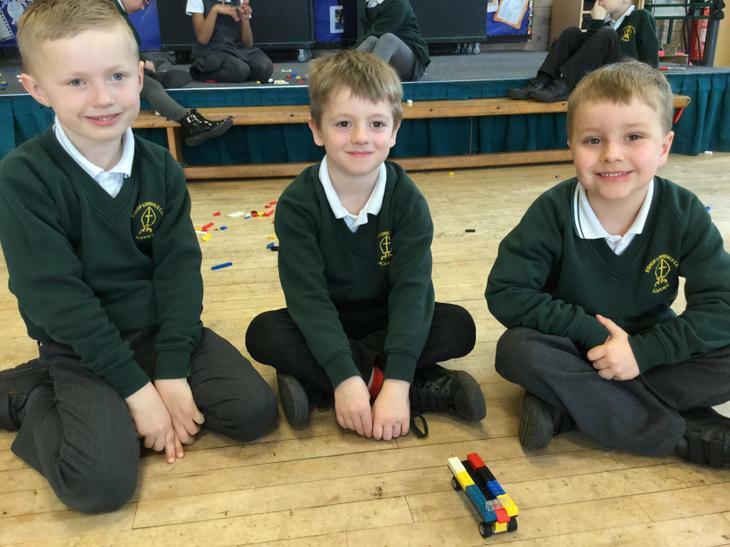 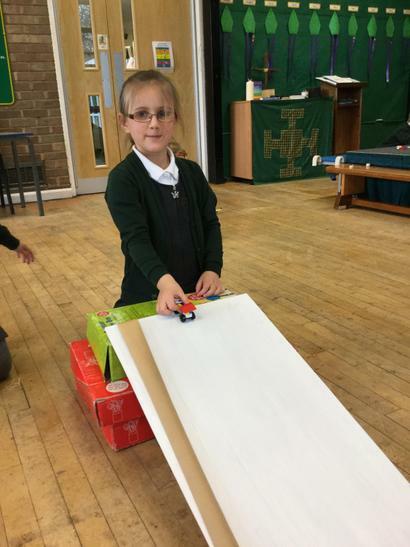 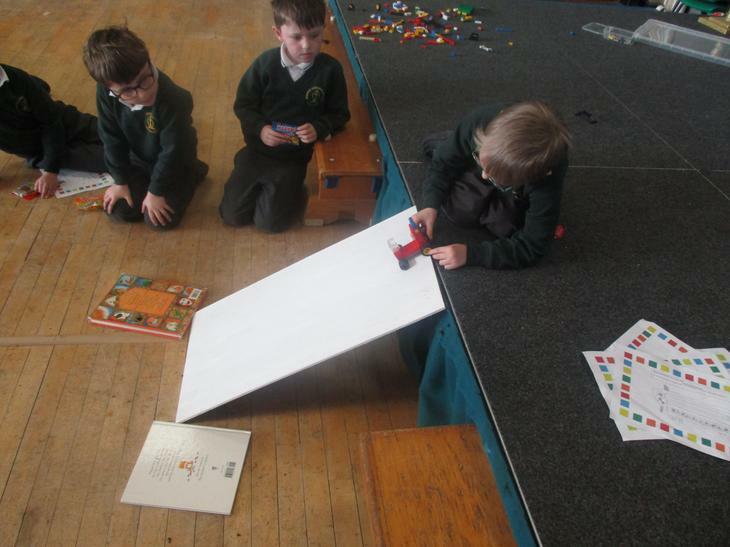 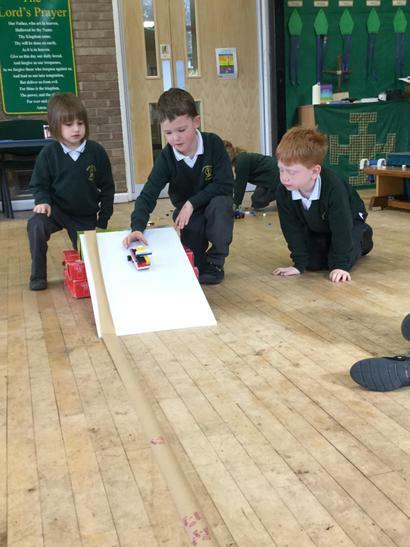 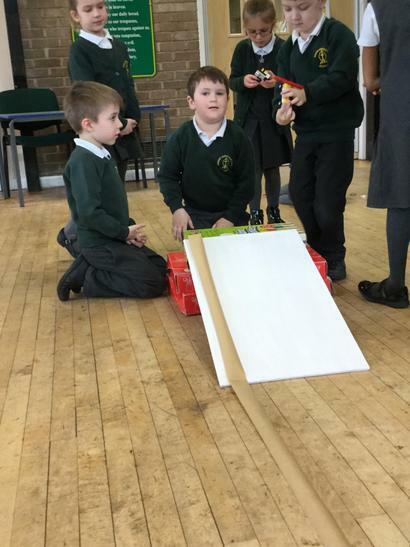 Year 1 designed their own Lego cars before constructing them ready to race them down the ramp. 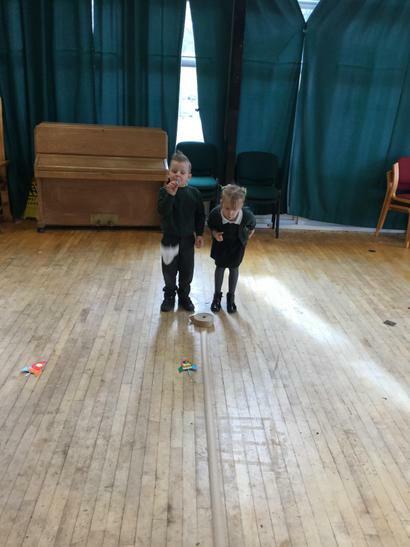 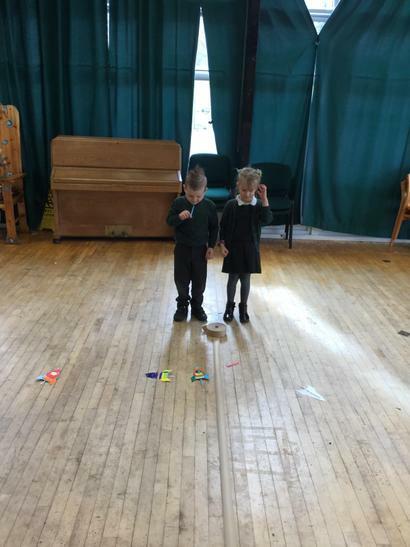 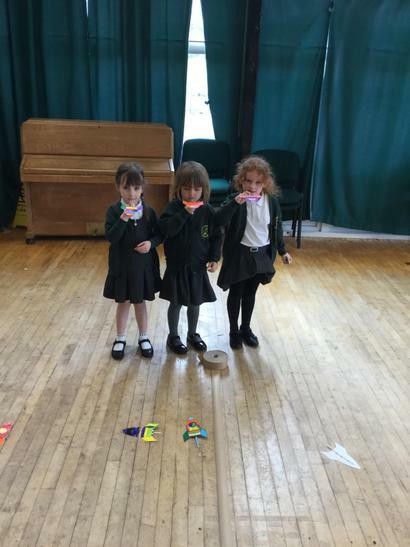 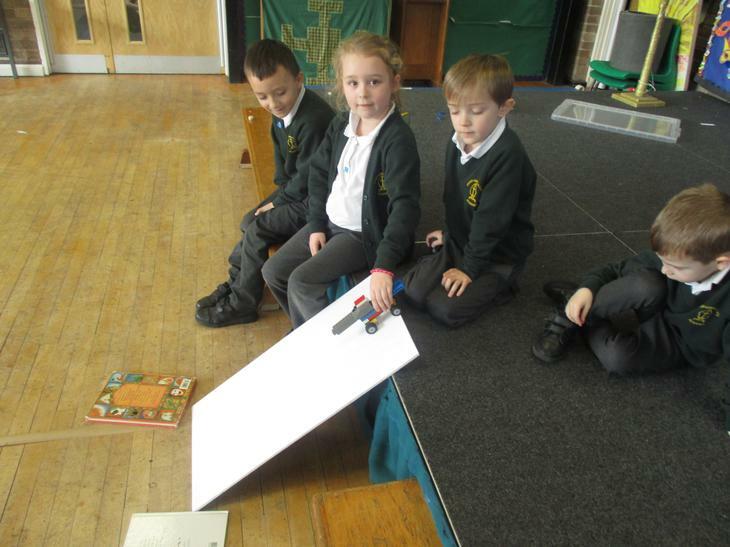 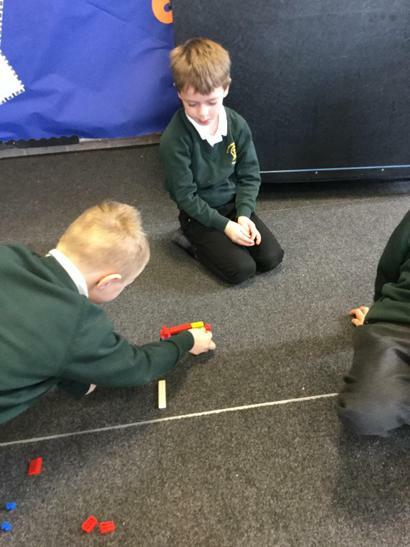 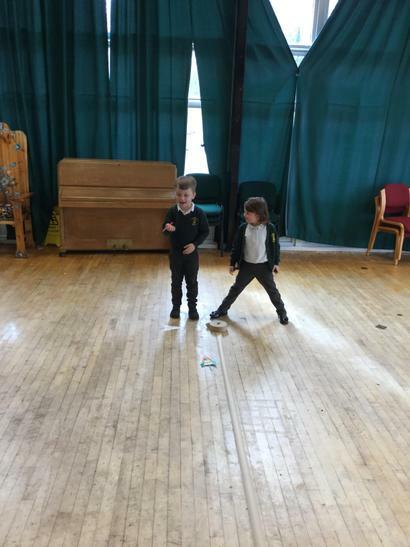 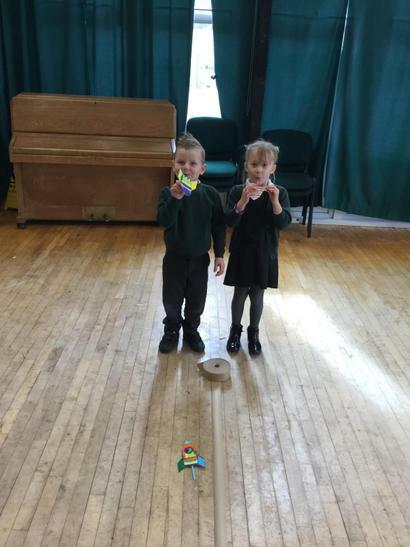 The children measured the distance travelled and adapted their cars to see if they could make it travel even further. 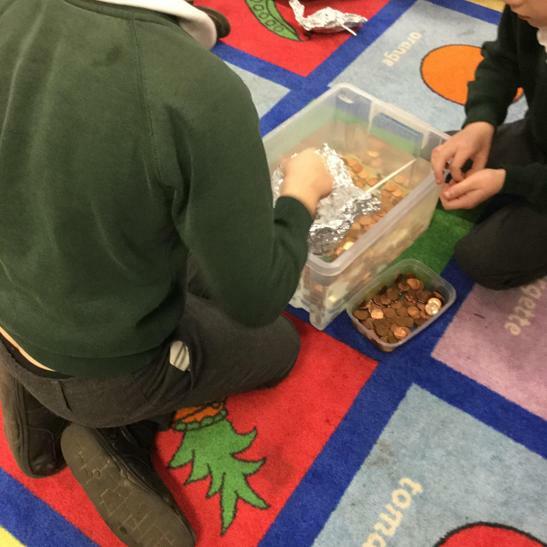 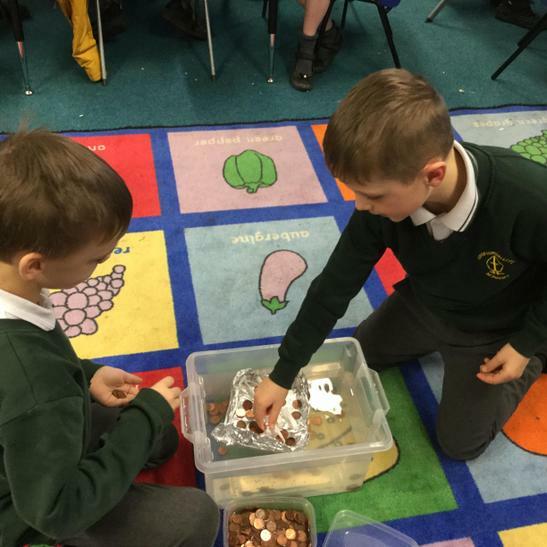 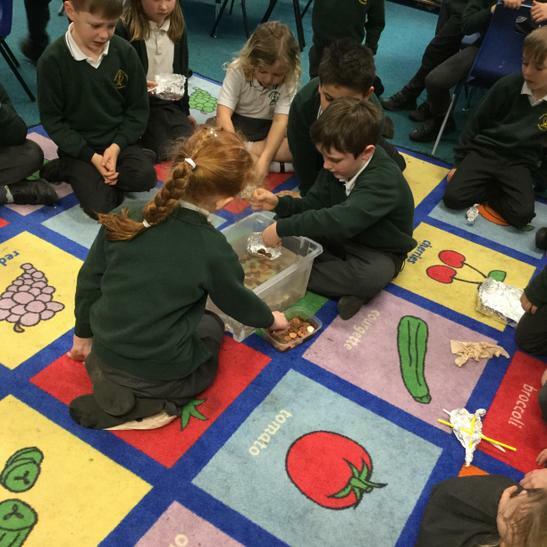 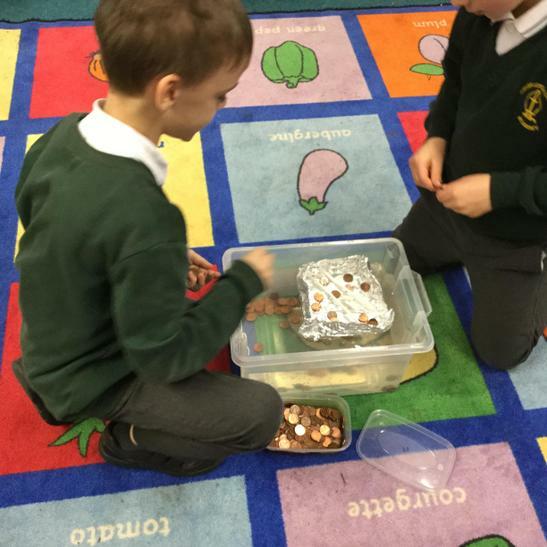 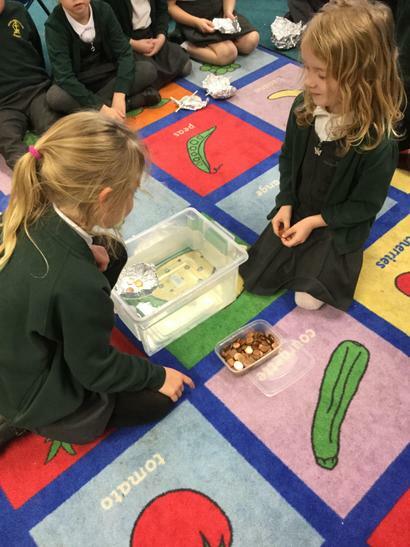 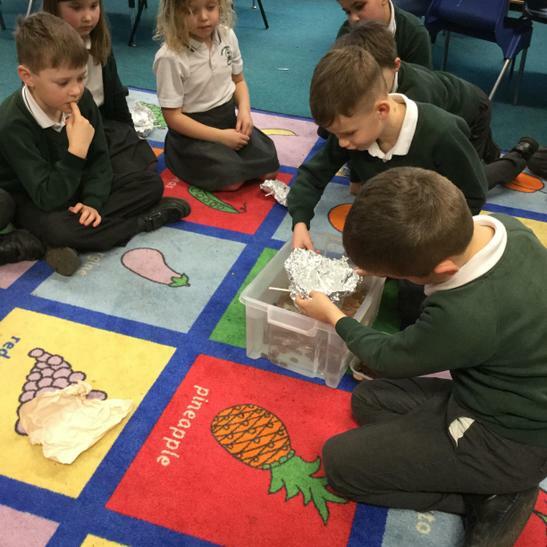 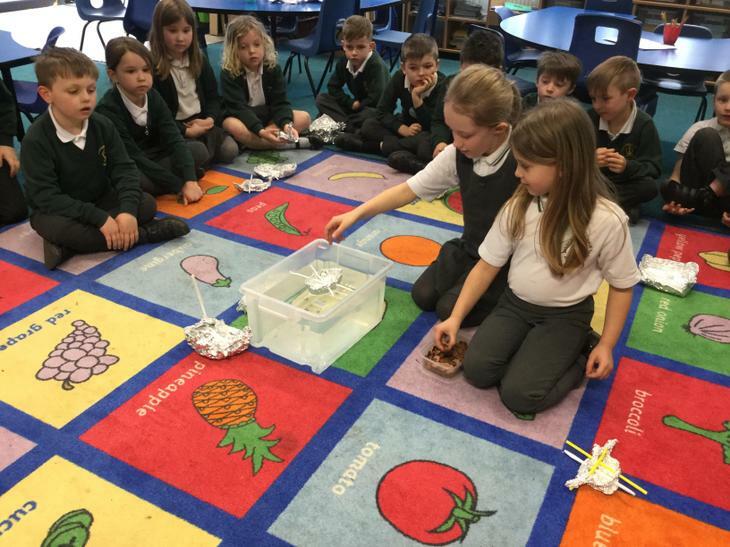 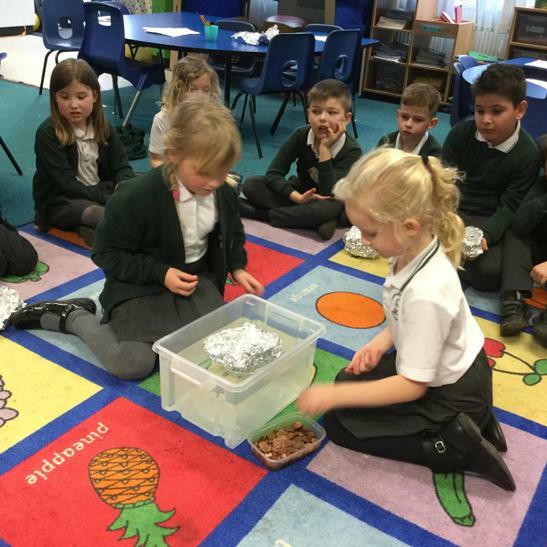 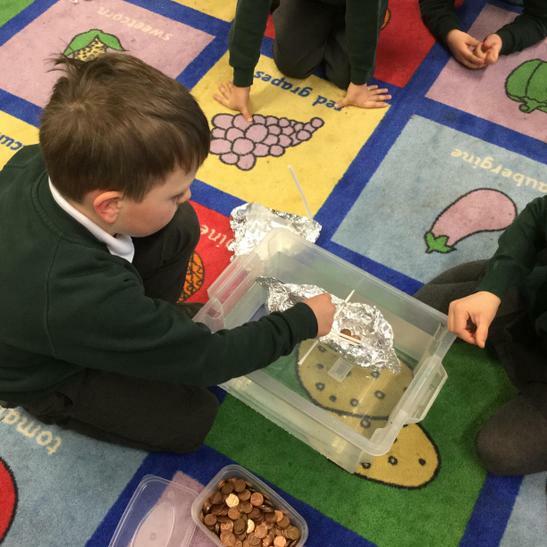 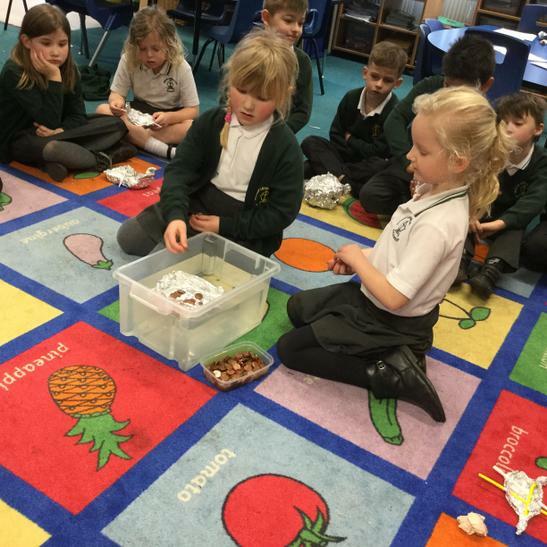 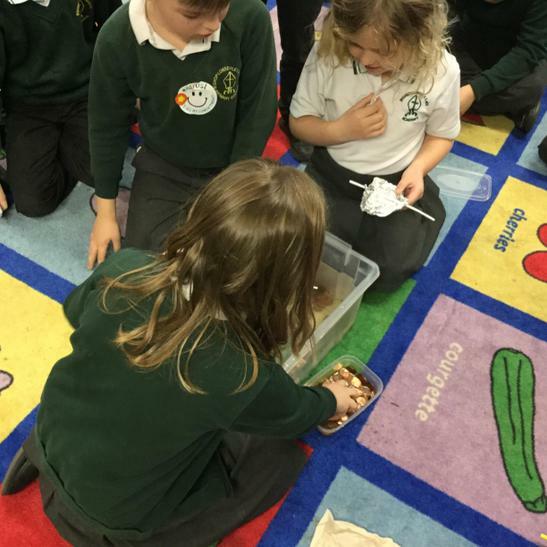 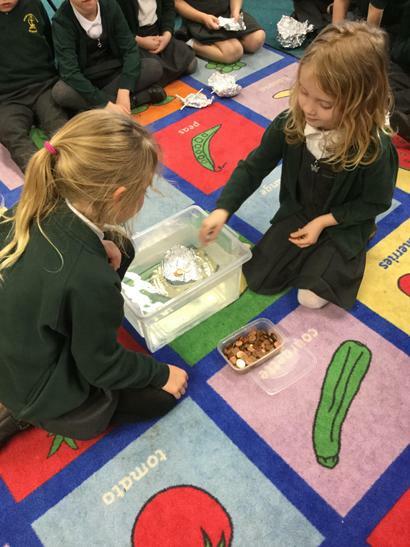 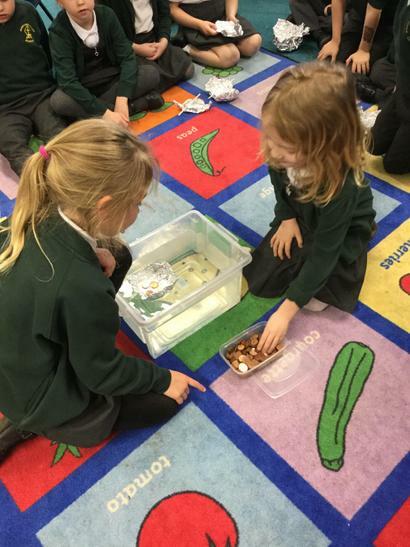 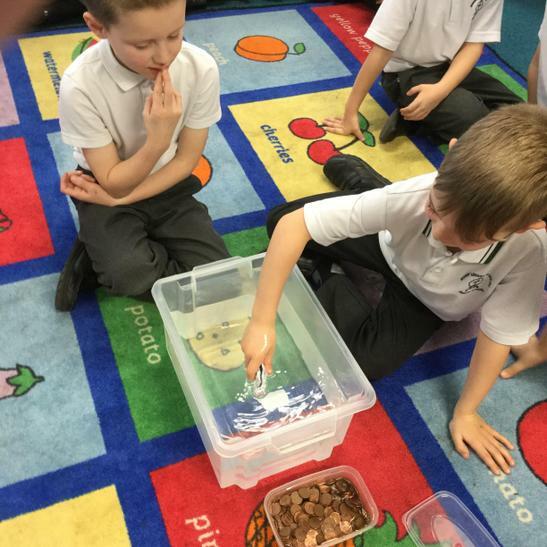 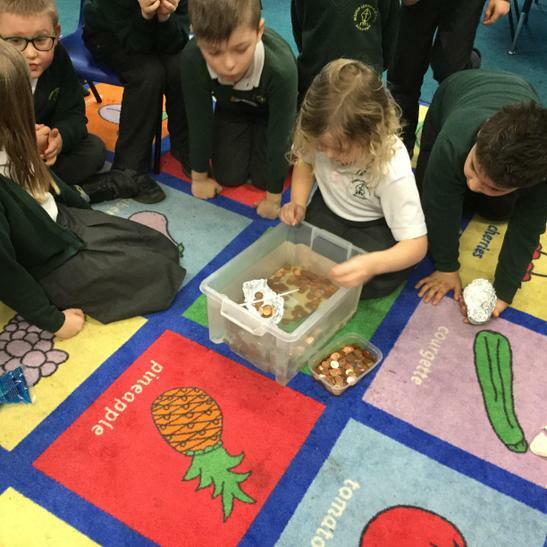 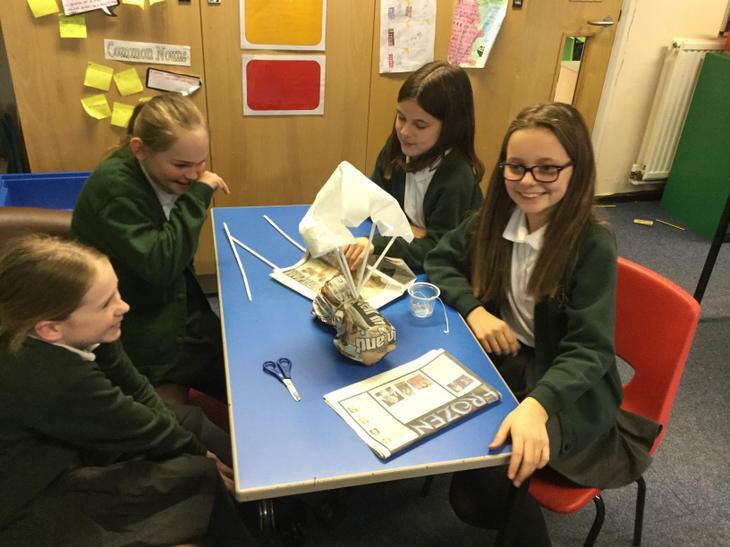 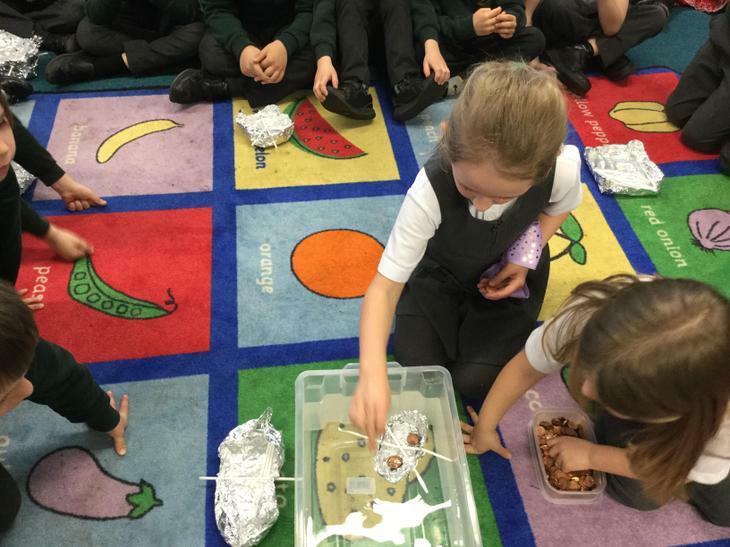 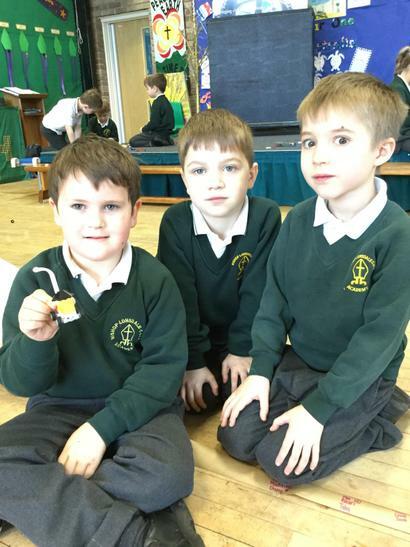 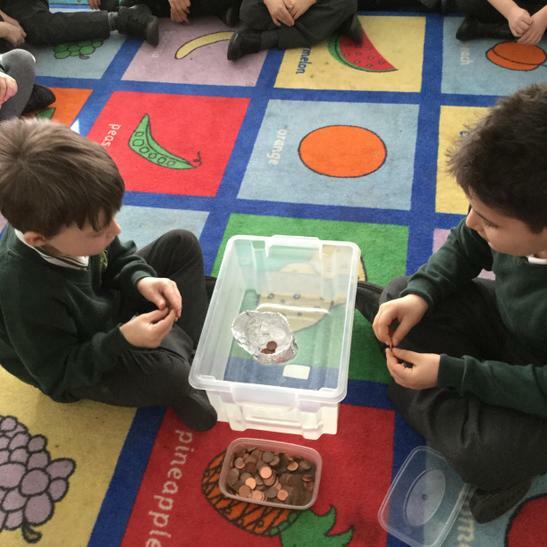 Year 2 worked in small teams to design and model a foil boat strong enough to survive the penny test! 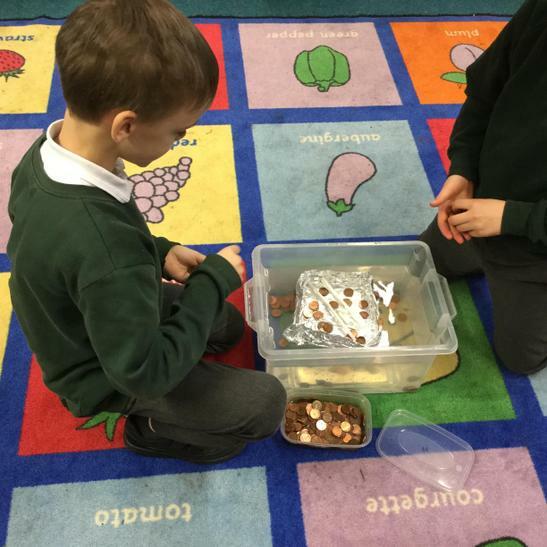 The boats were placed on water and coins were added until the boat capsized. 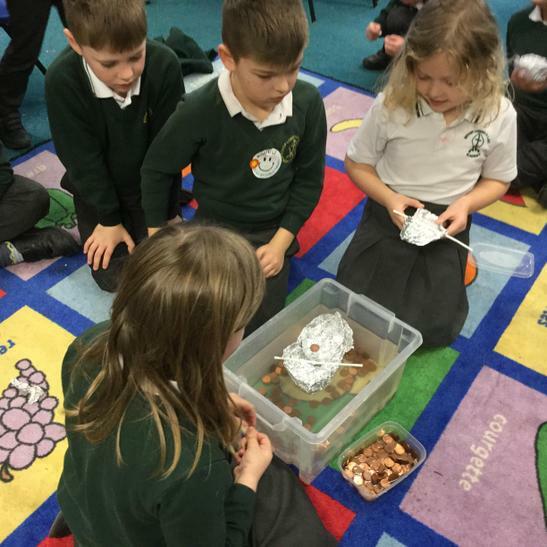 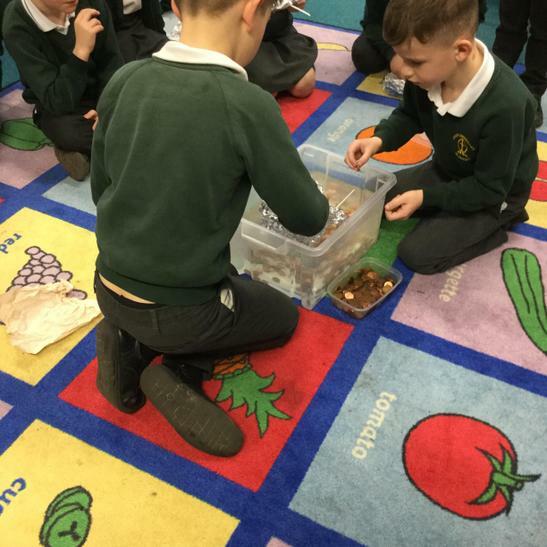 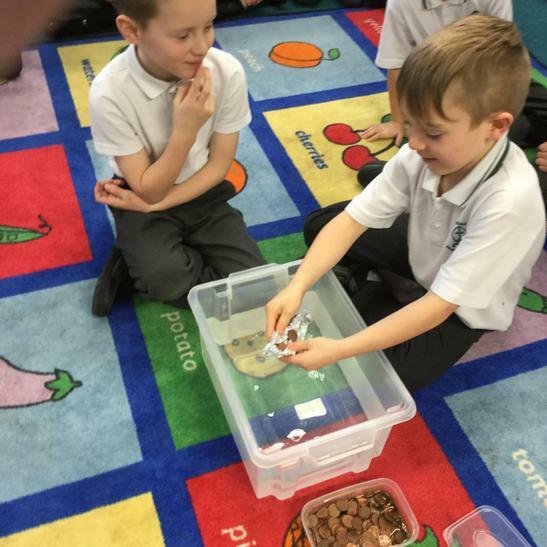 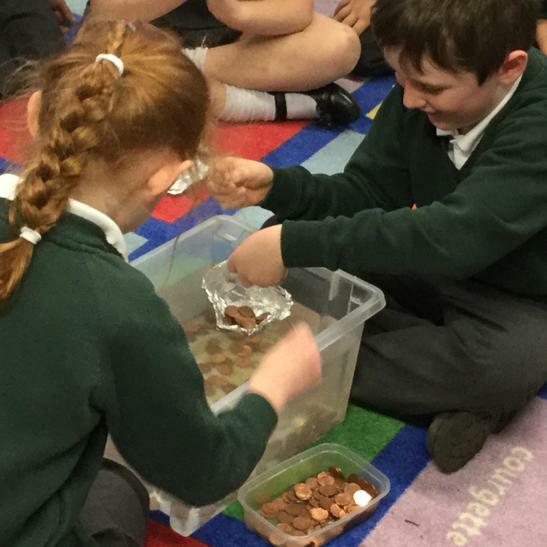 Some boats held over 100 pennies! 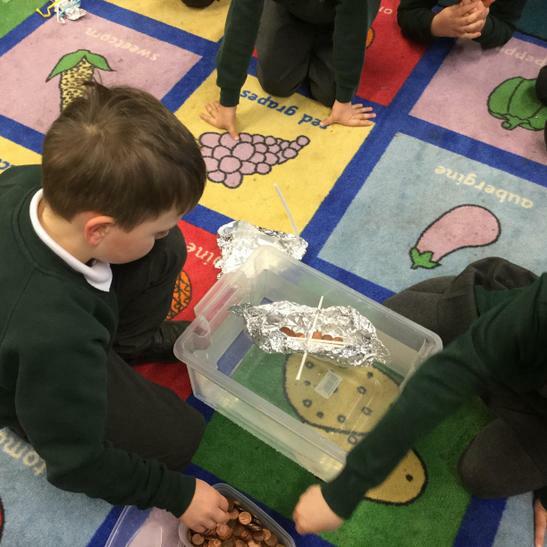 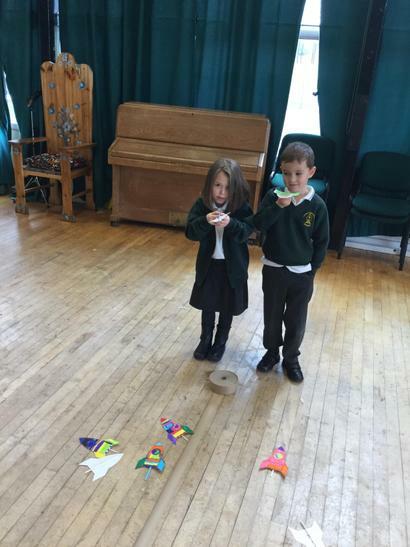 Children used their knowledge to then redesign their boats to try again. 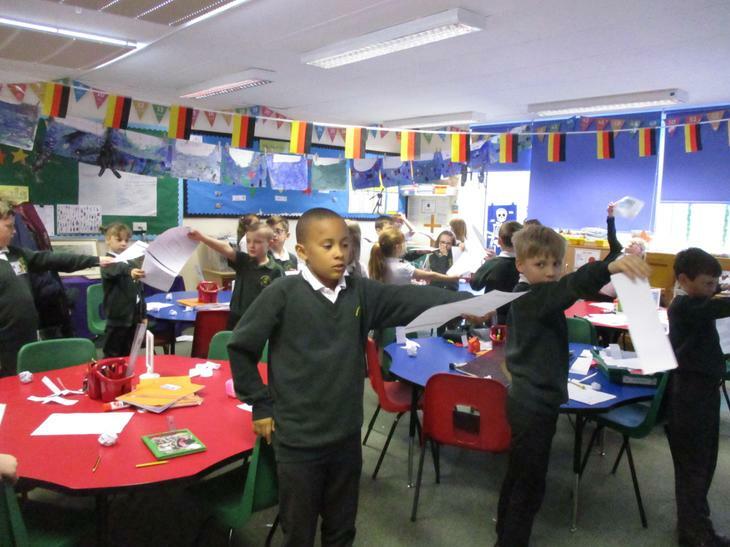 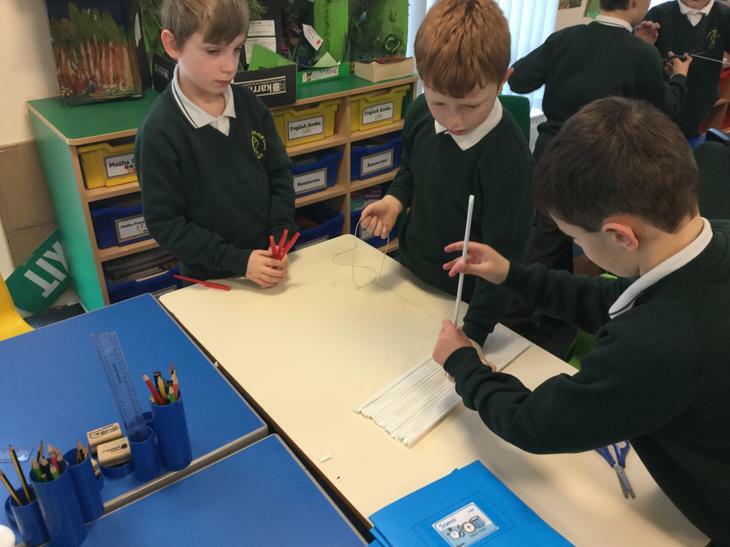 Year 3 used an initial template to create a helicopter spinner. 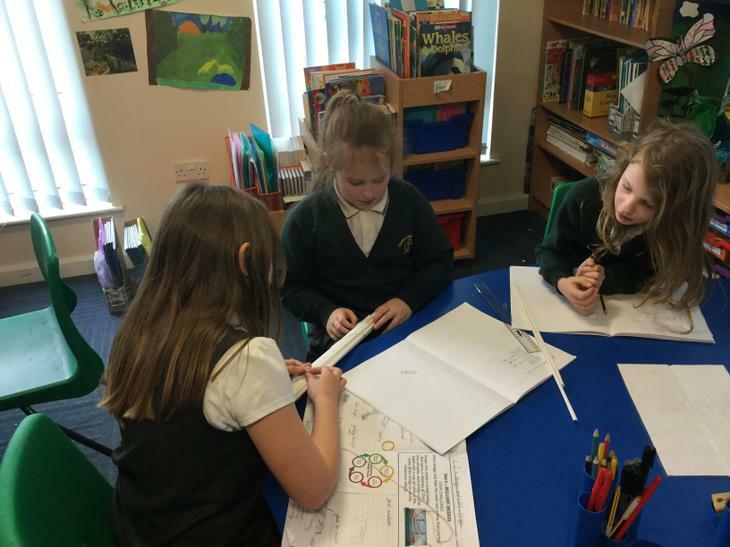 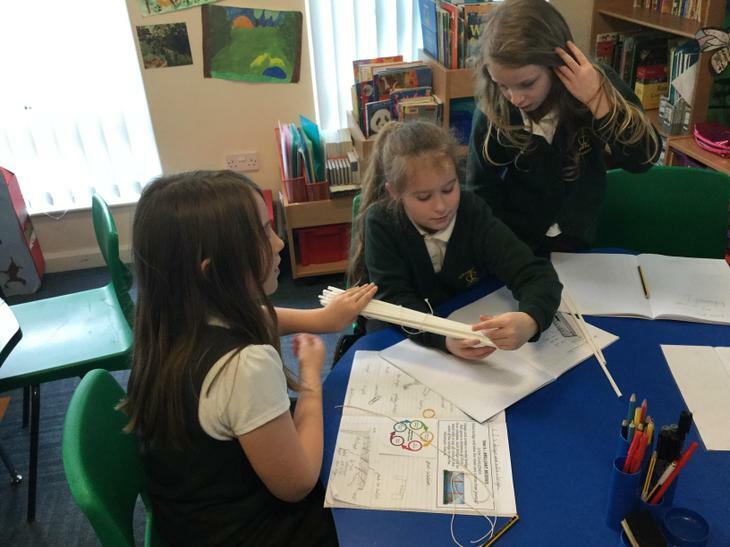 They tested their model and identified how it could be changed to make the helicopter take longer to reach the floor. 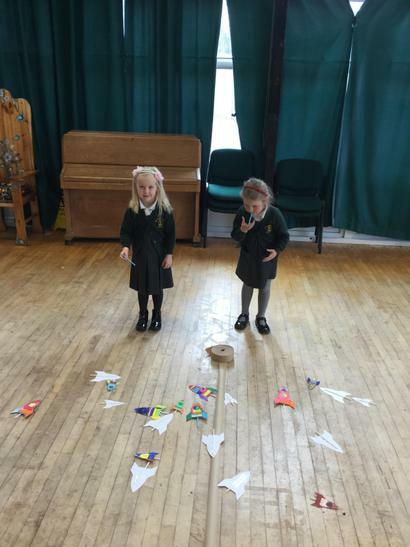 Some children made the model smaller or bigger, others added more paper clips whilst some changed the material for the helicopter. 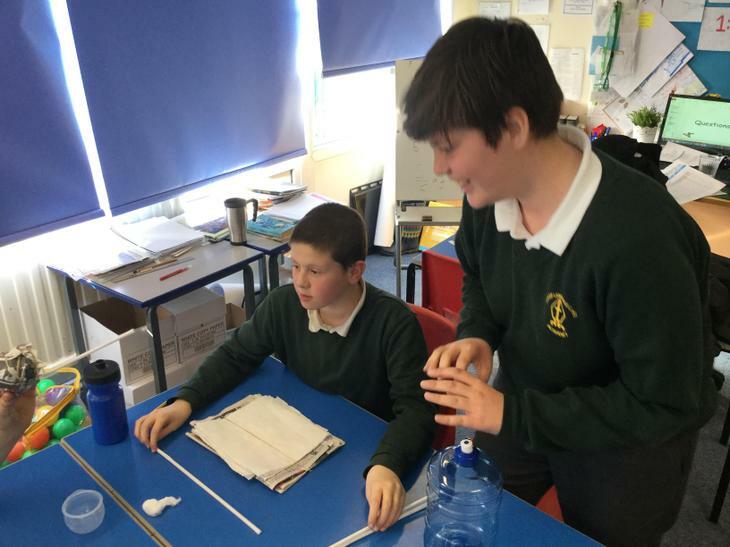 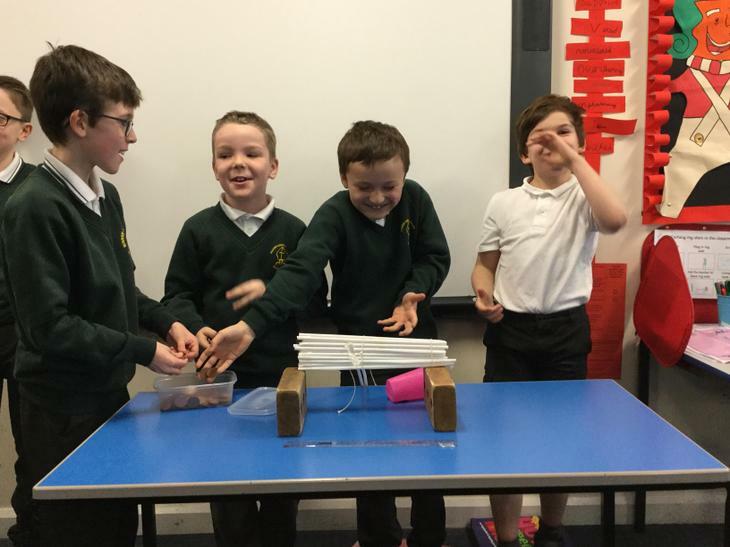 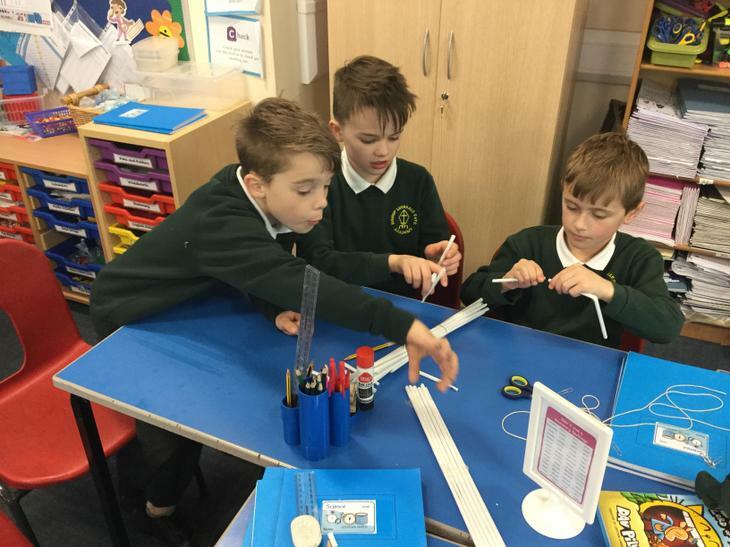 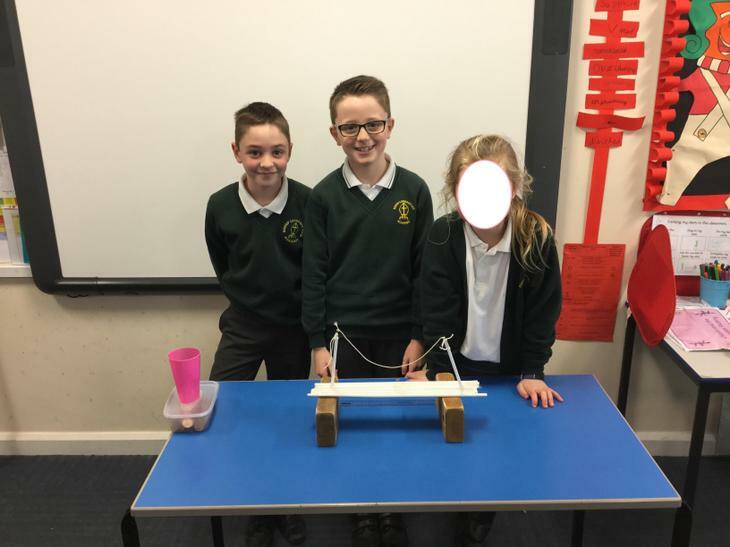 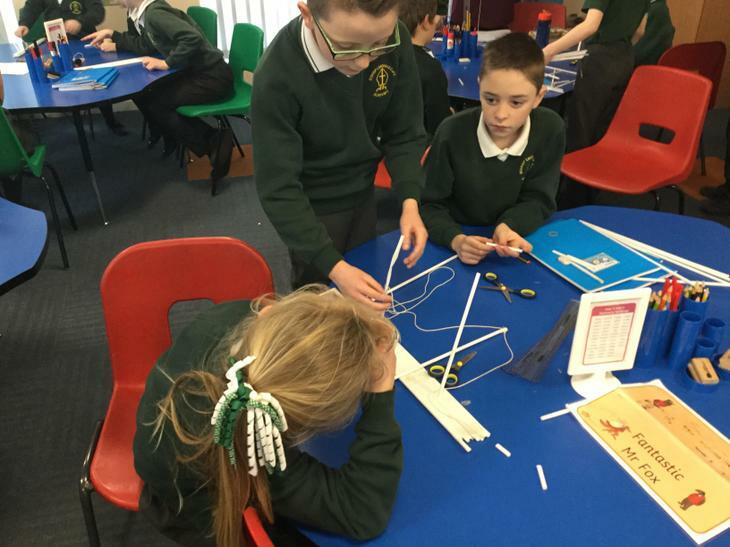 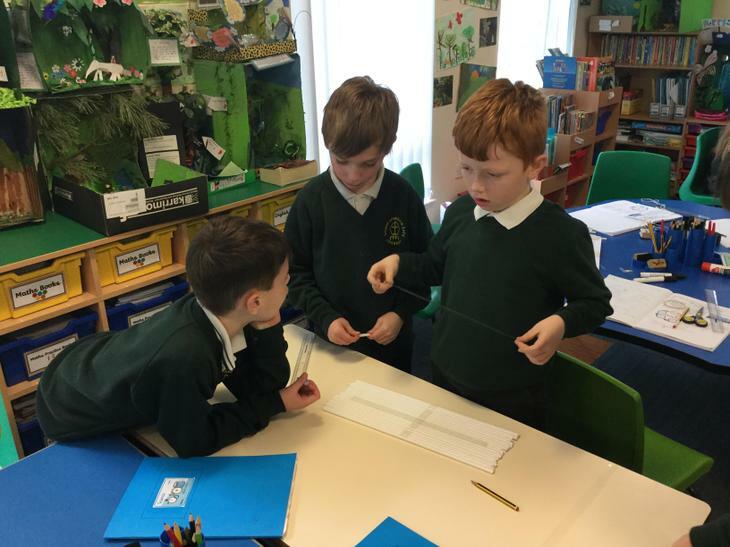 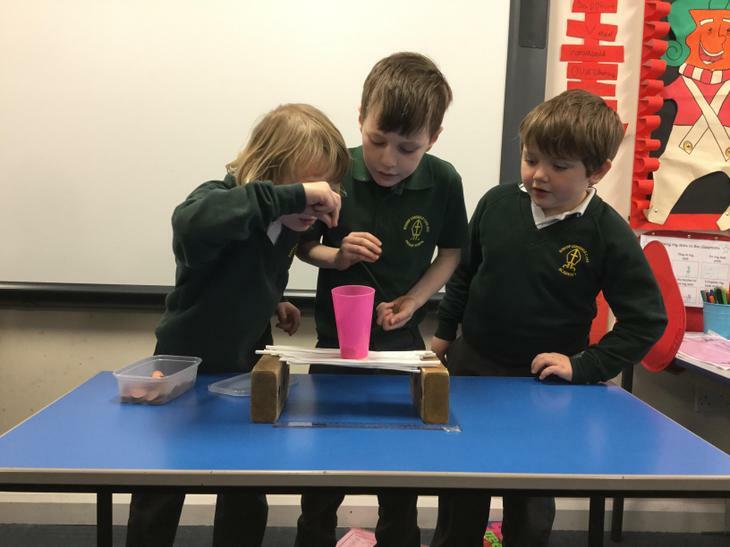 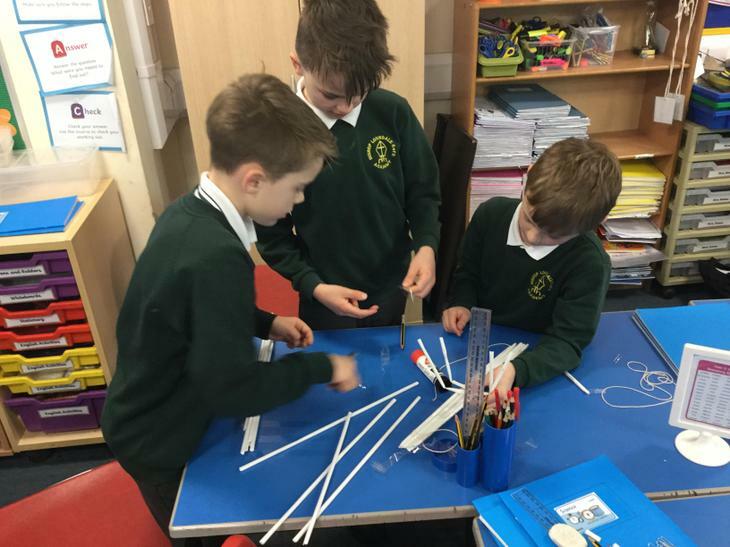 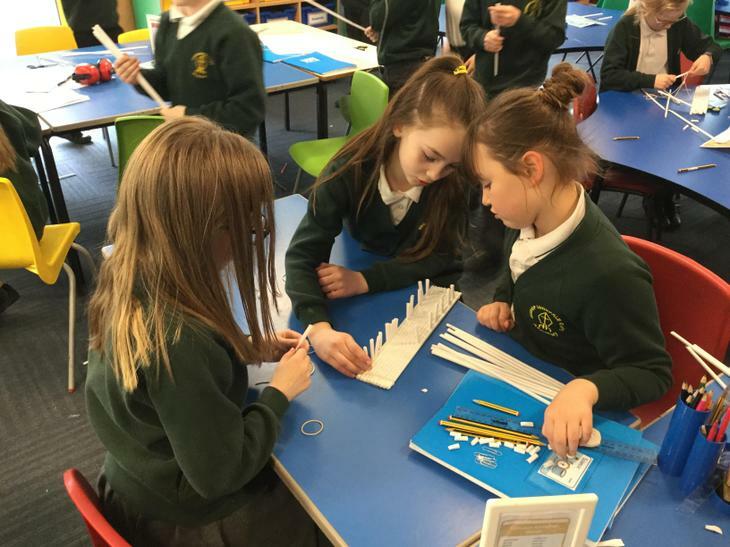 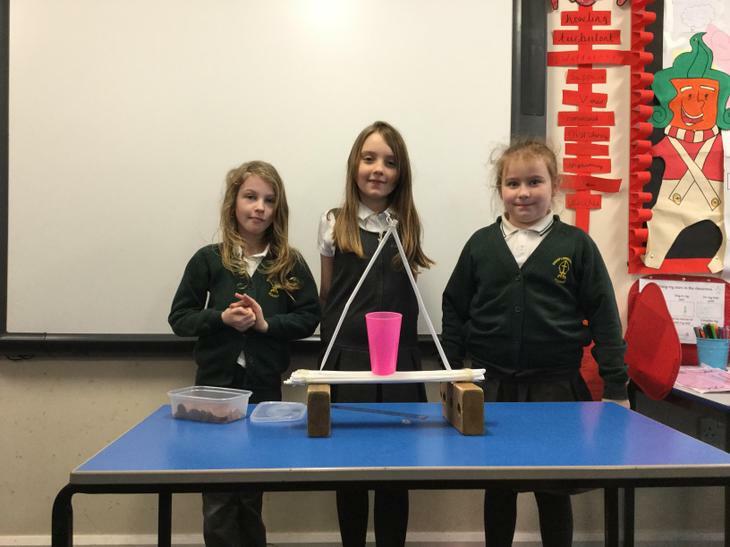 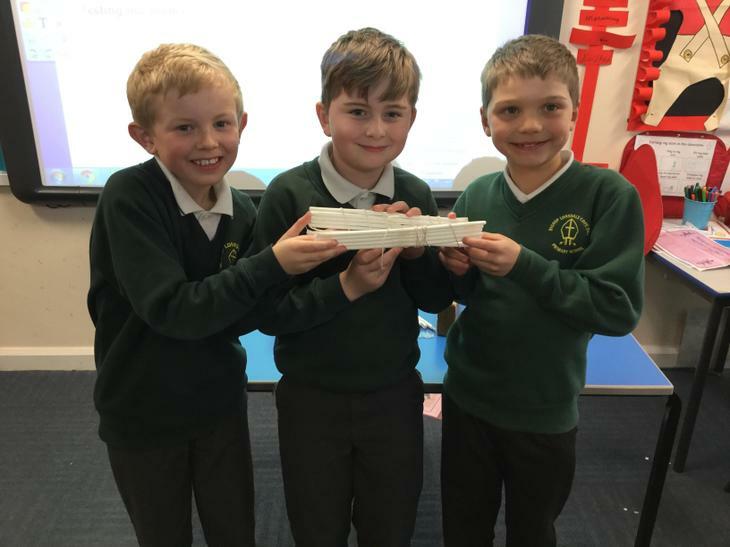 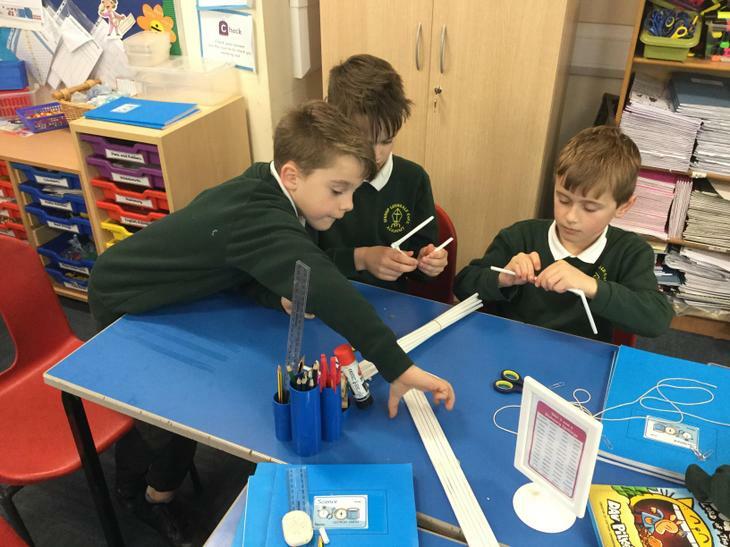 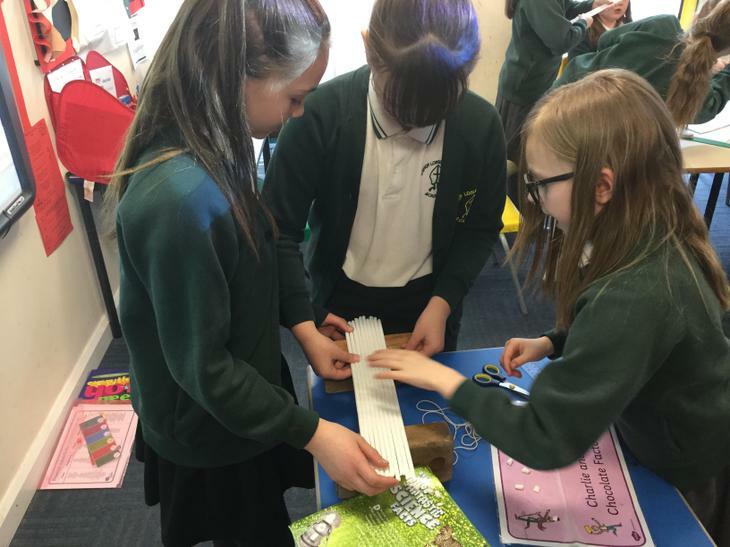 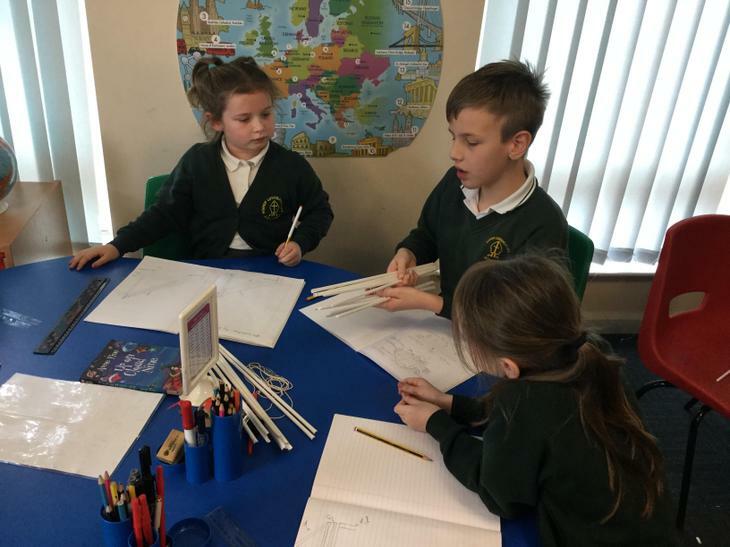 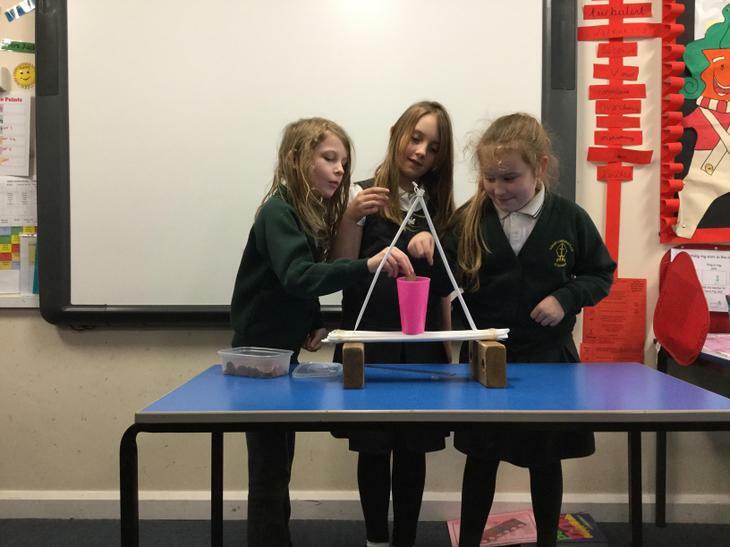 The children in Year 4 were set the challenge to build a bridge to span a distance of 25 cm using 20 art-straws and 1m of sticky tape. 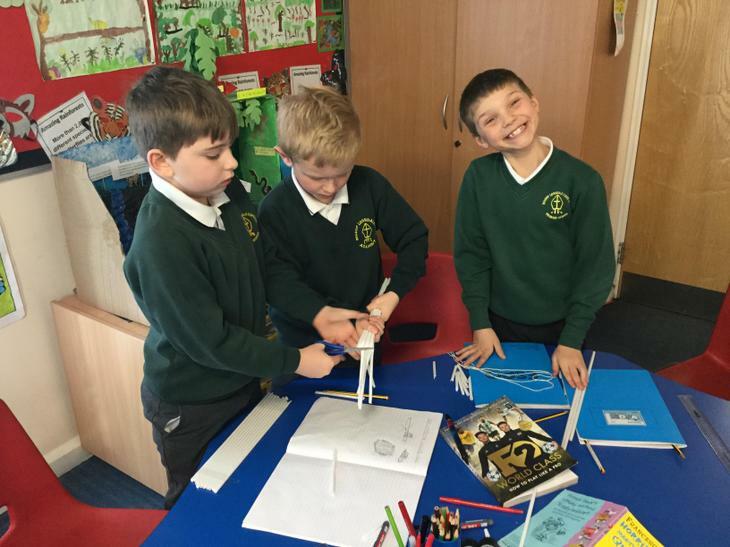 They designed their ideas before constructing their models. 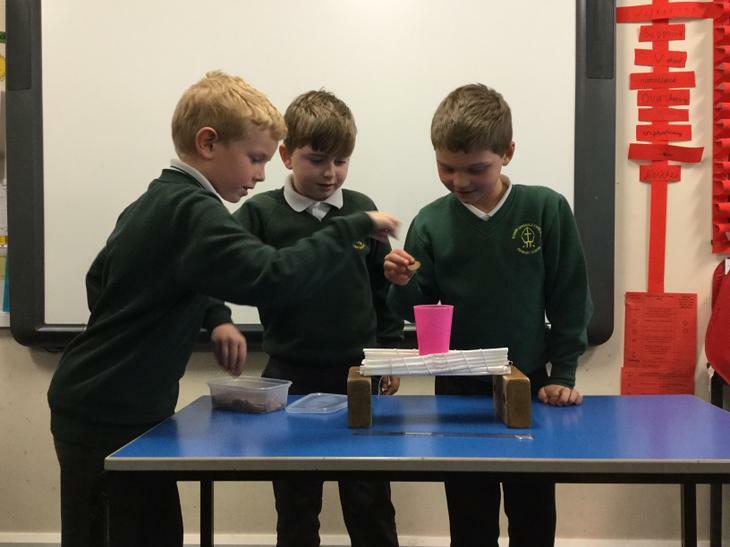 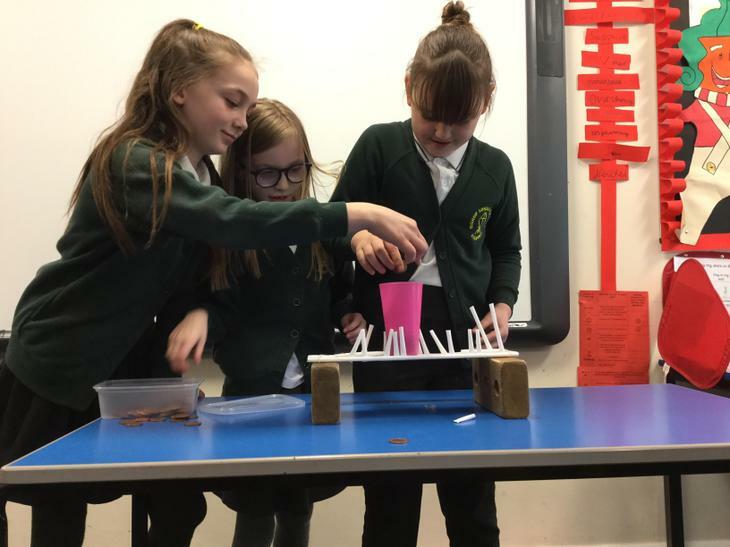 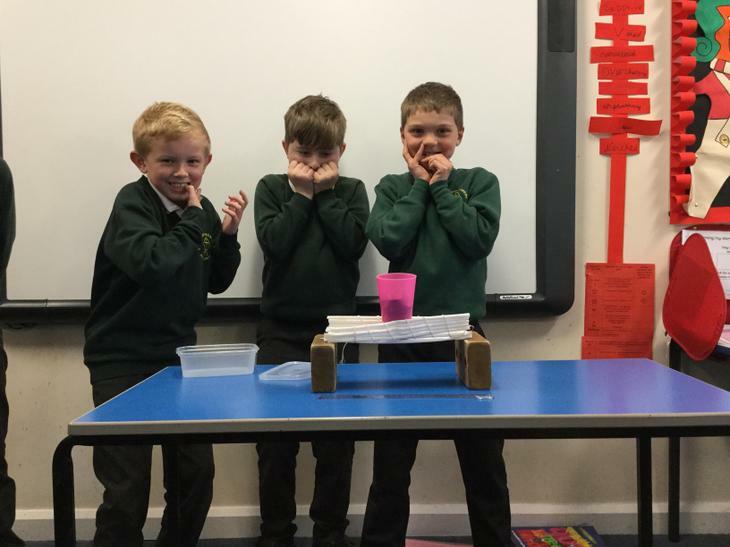 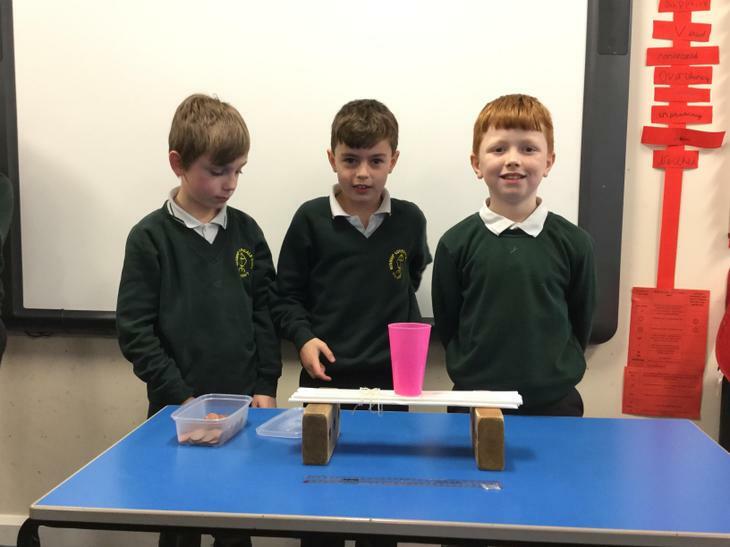 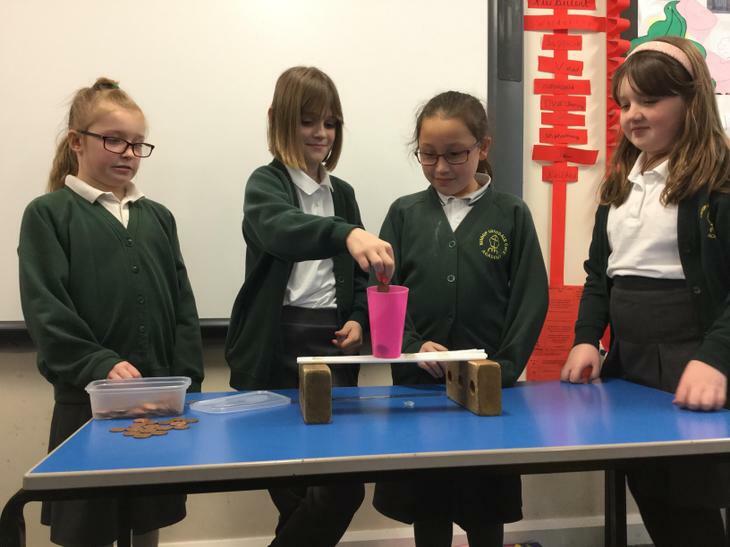 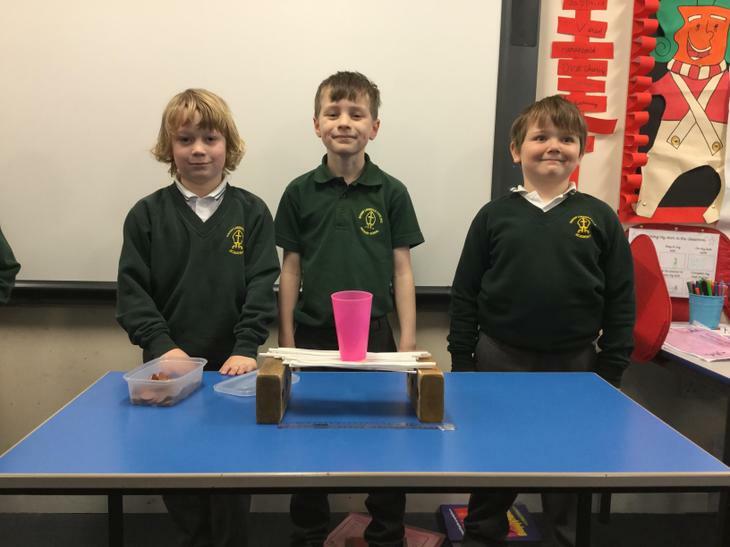 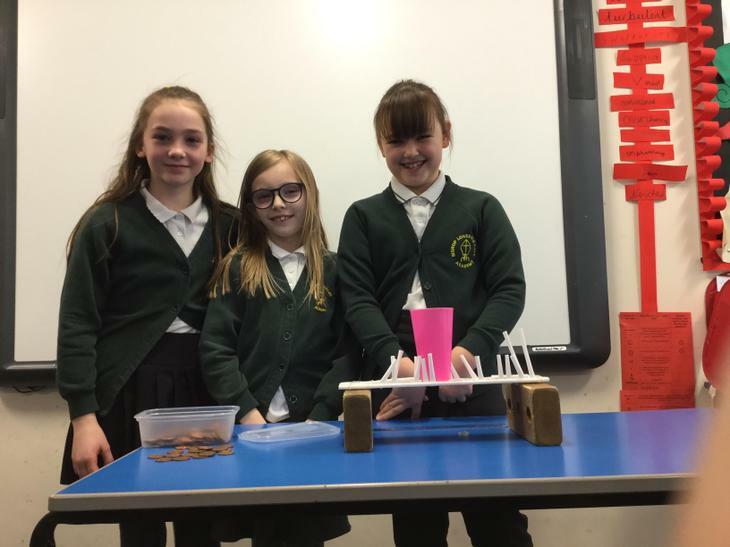 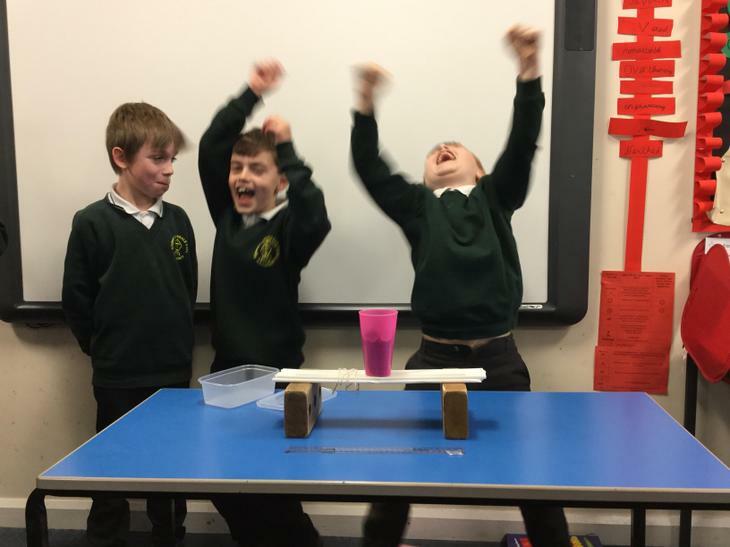 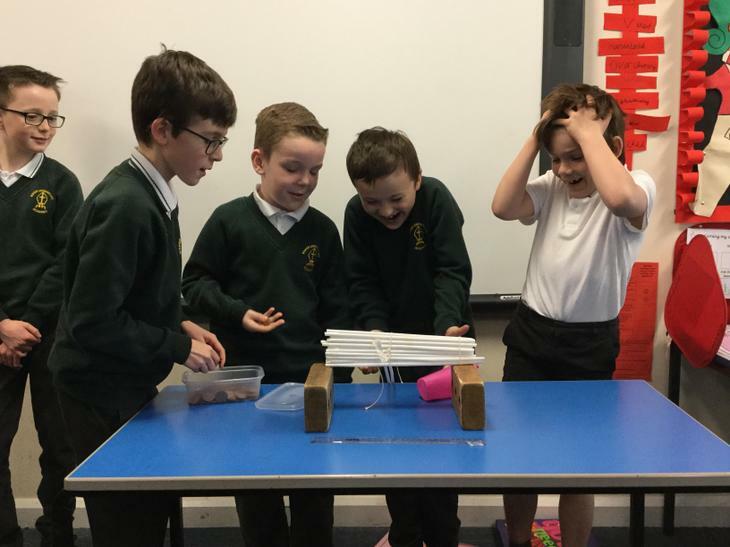 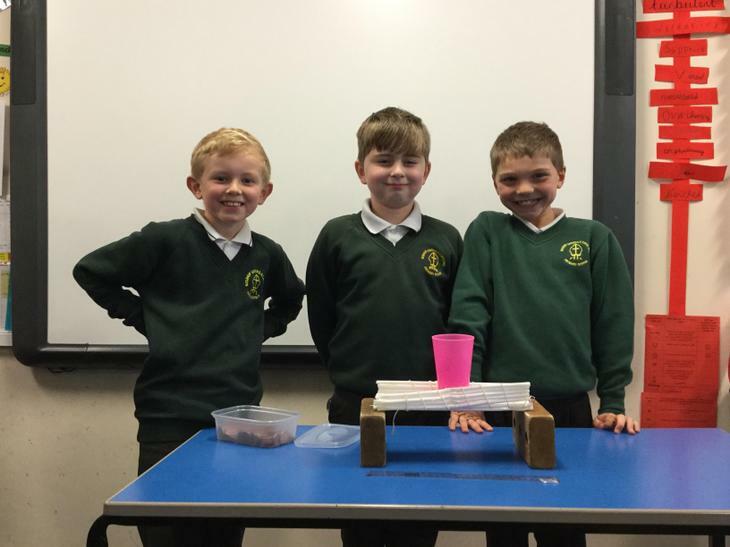 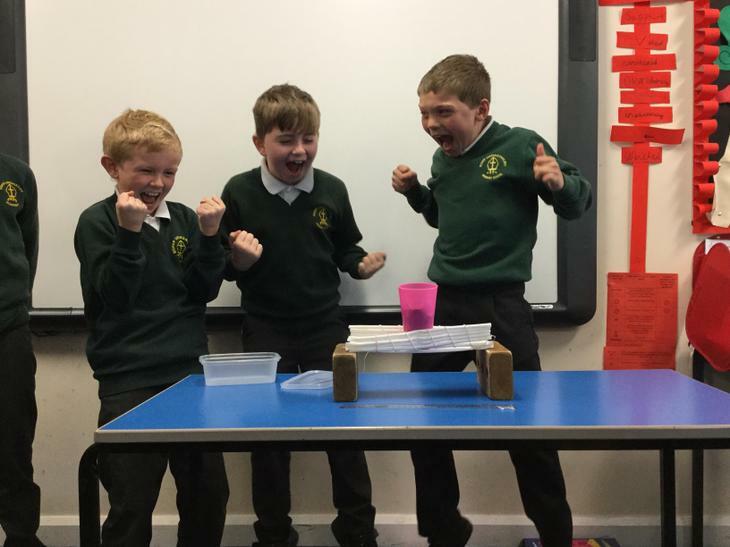 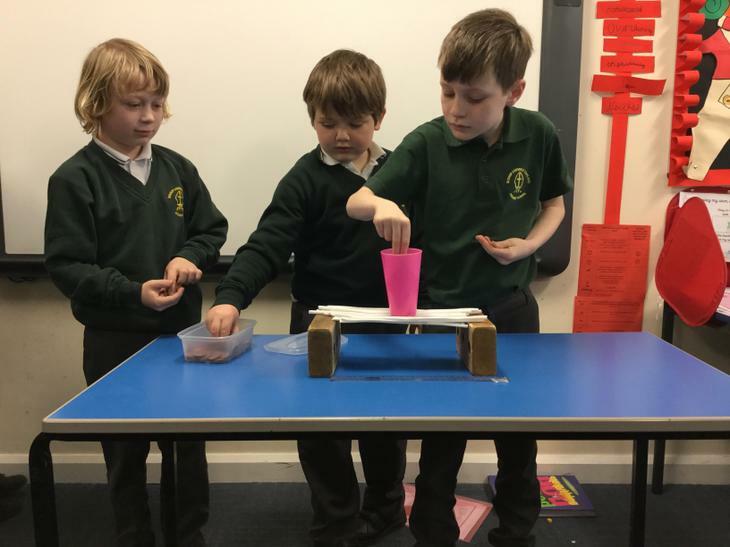 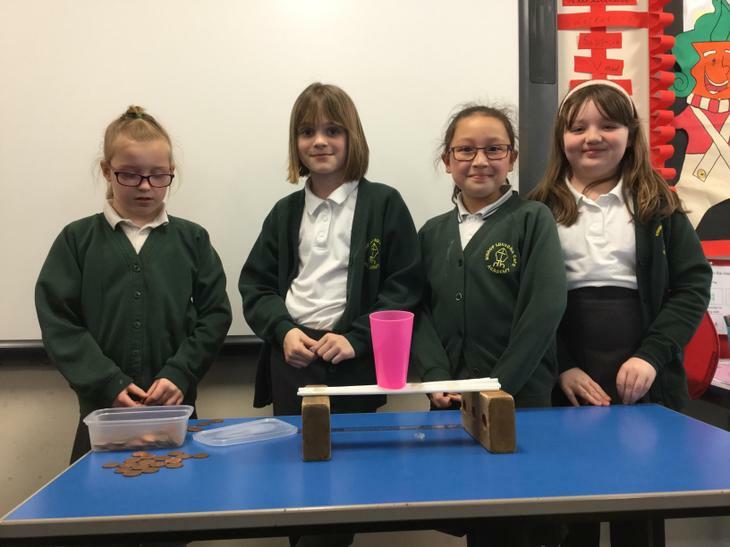 Afterwards each group tested the strength and suitability for a bridge design by supporting the weight of a cup of coins. 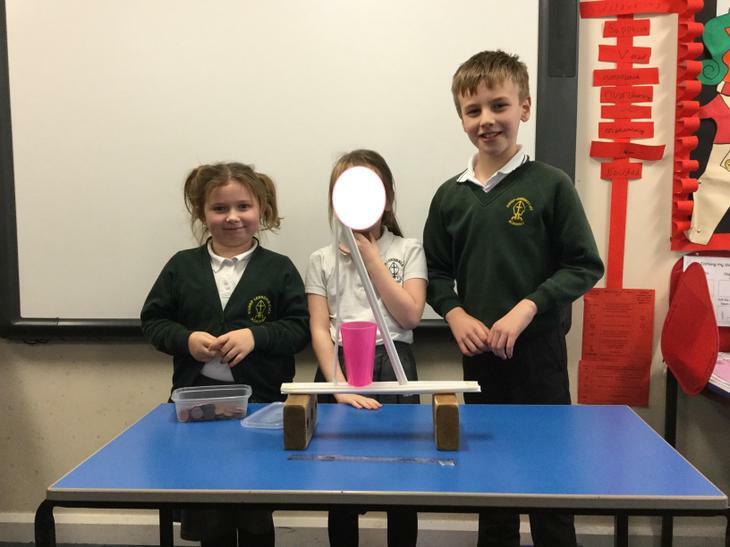 The children were so excited to discover which bridge would win! 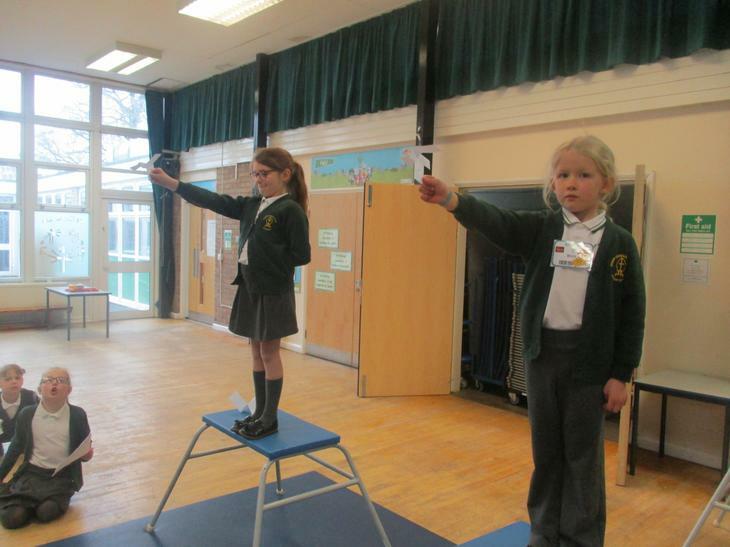 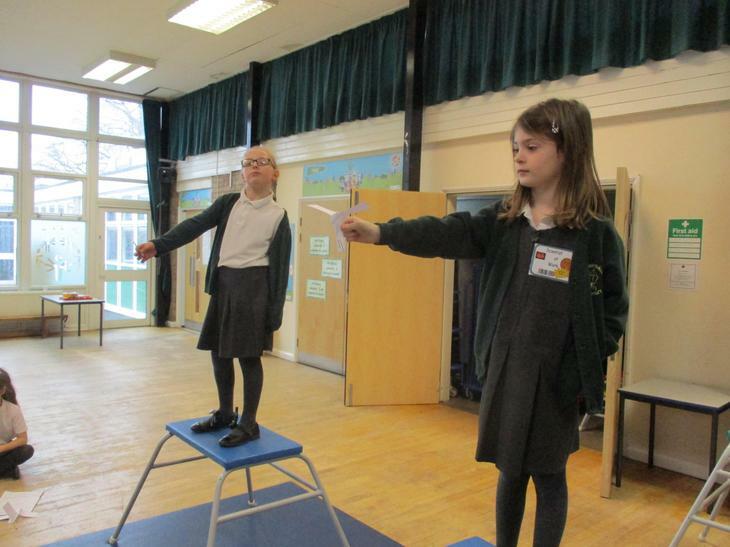 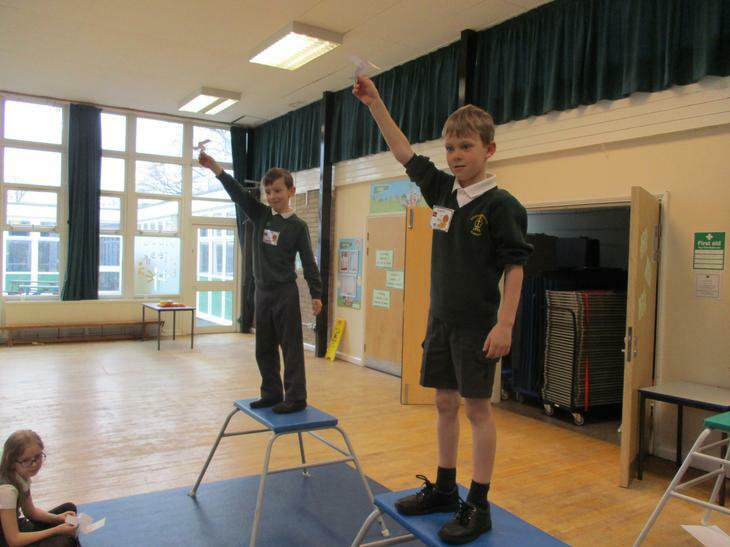 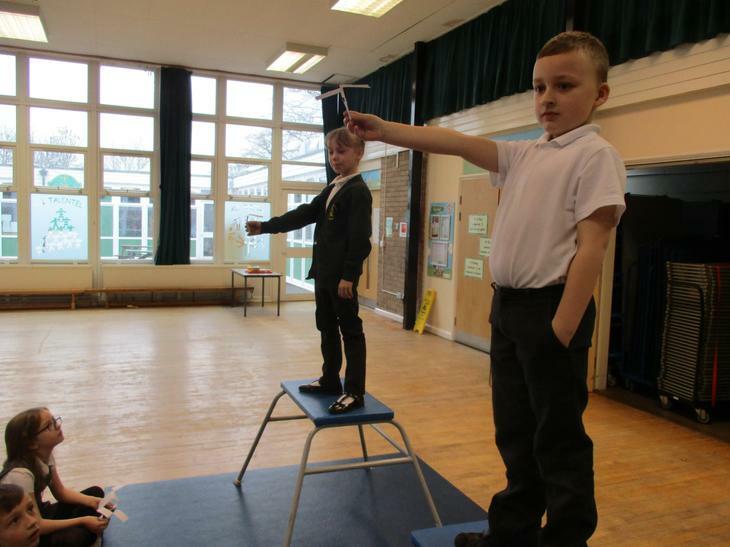 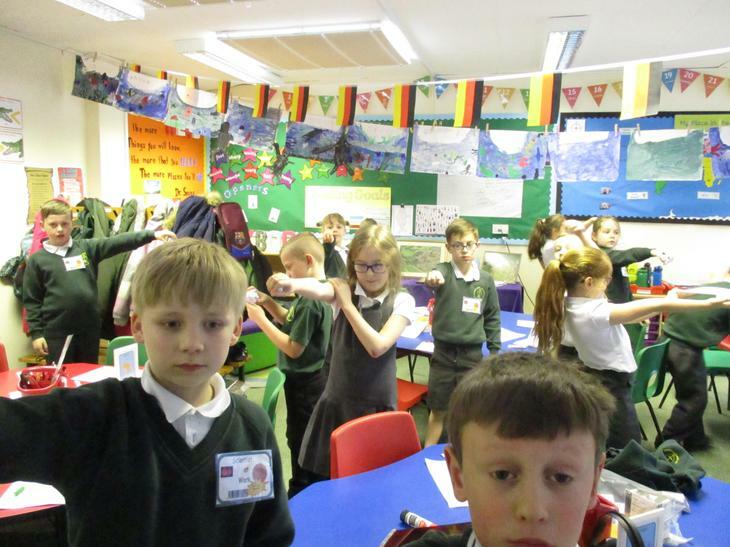 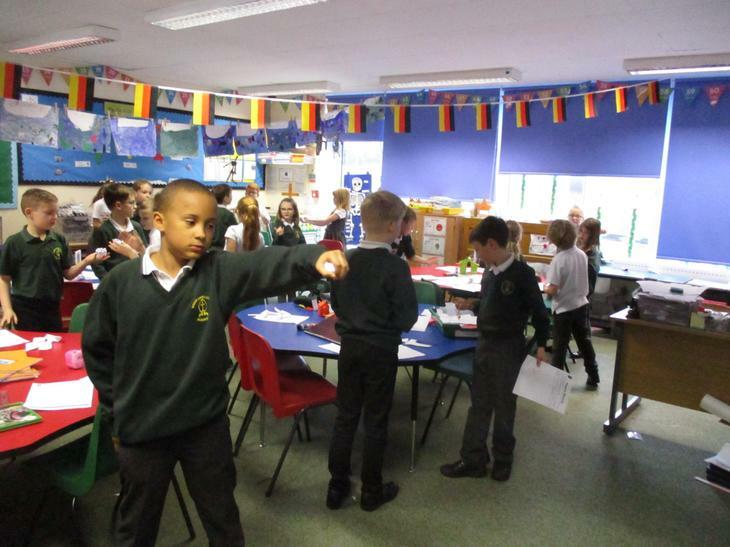 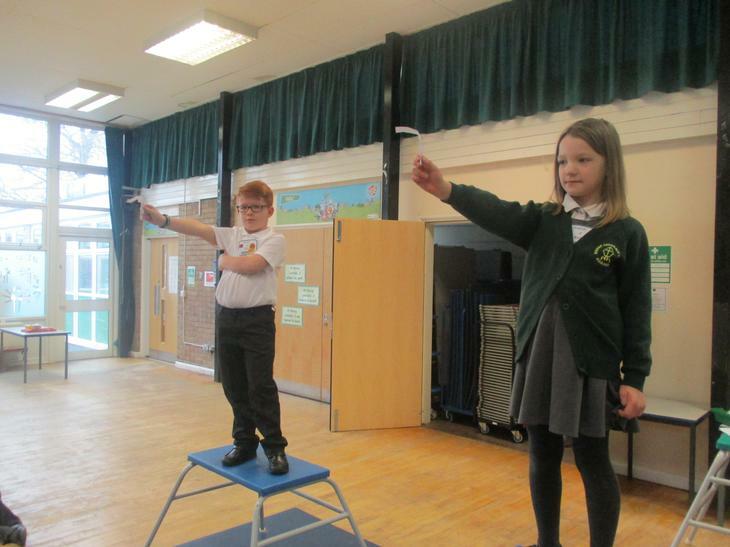 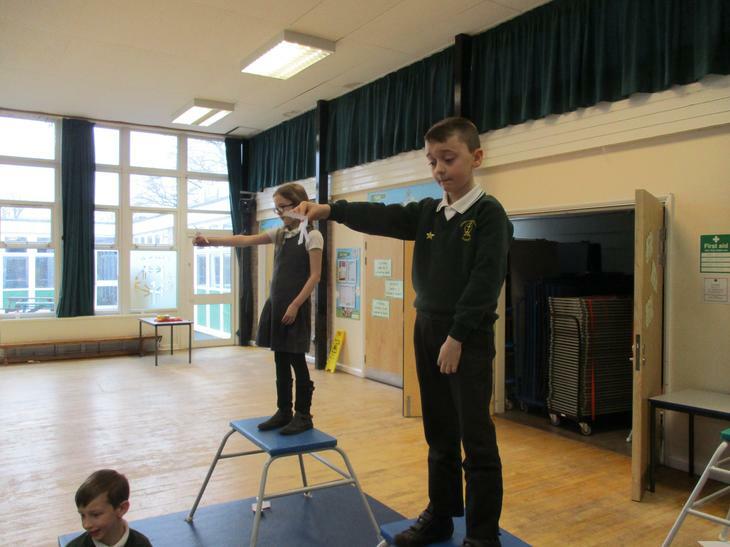 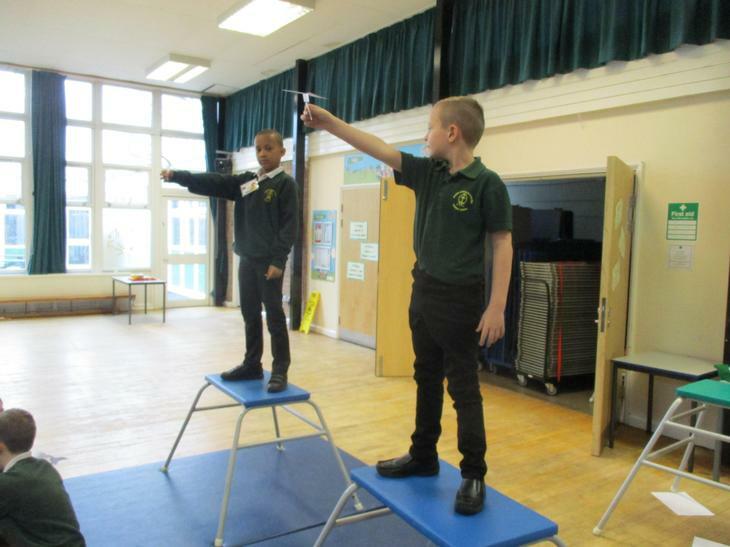 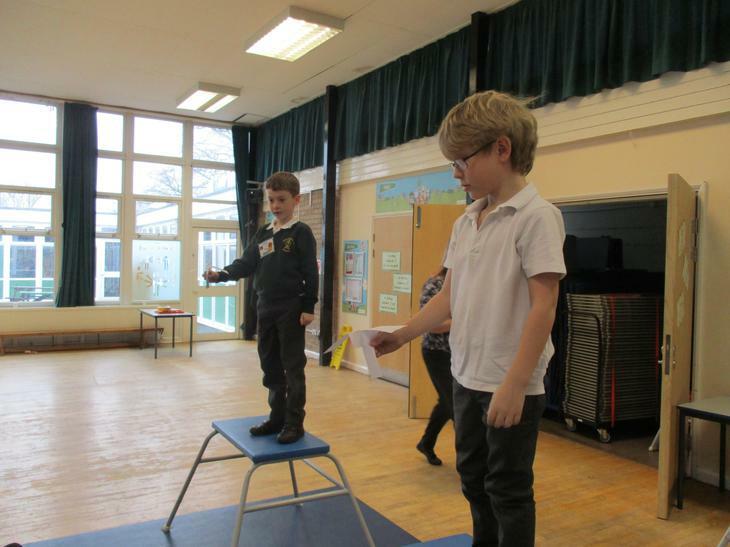 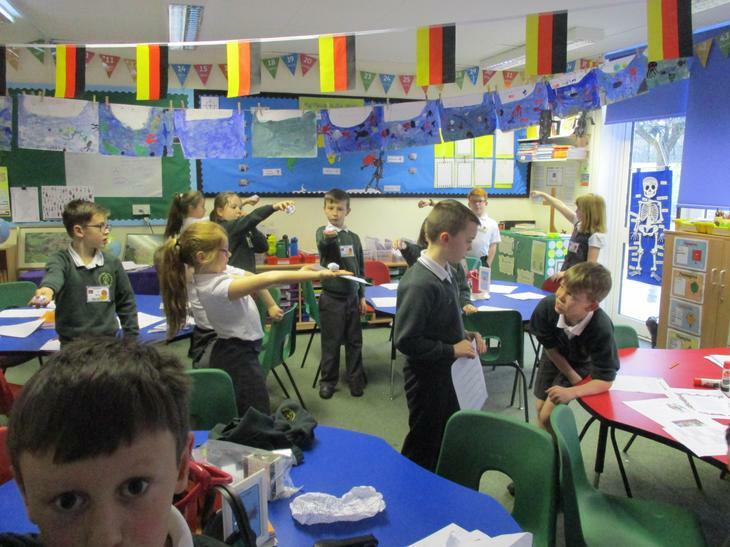 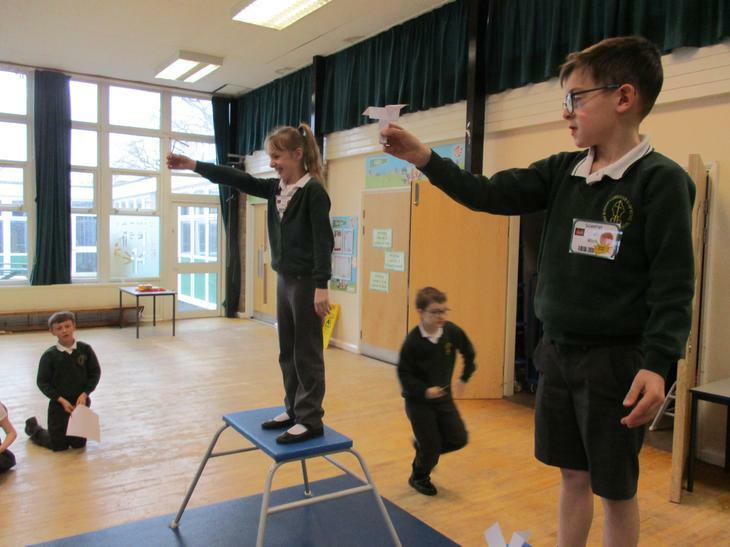 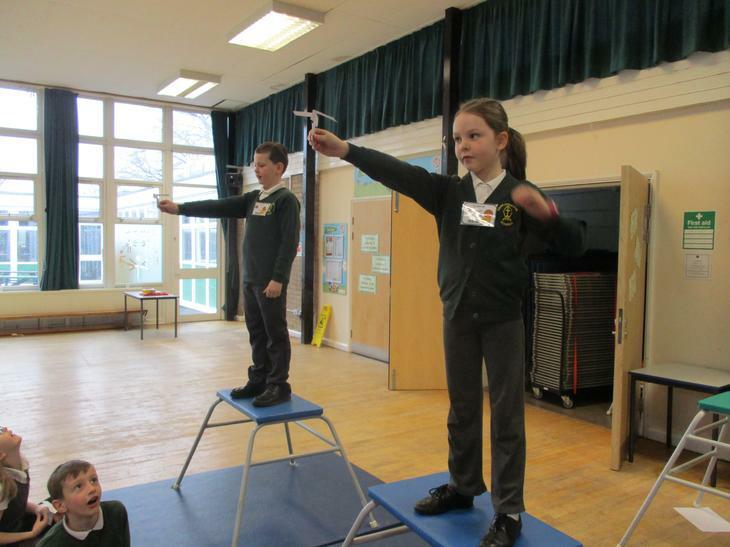 Year 5 were set the challenge to design and build a device to launch an army man on a journey through the air. 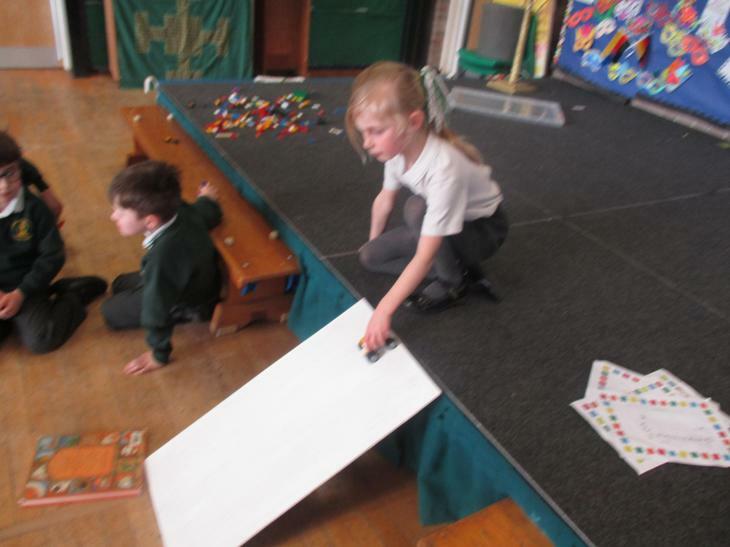 The children had a small list of equipment they could use. 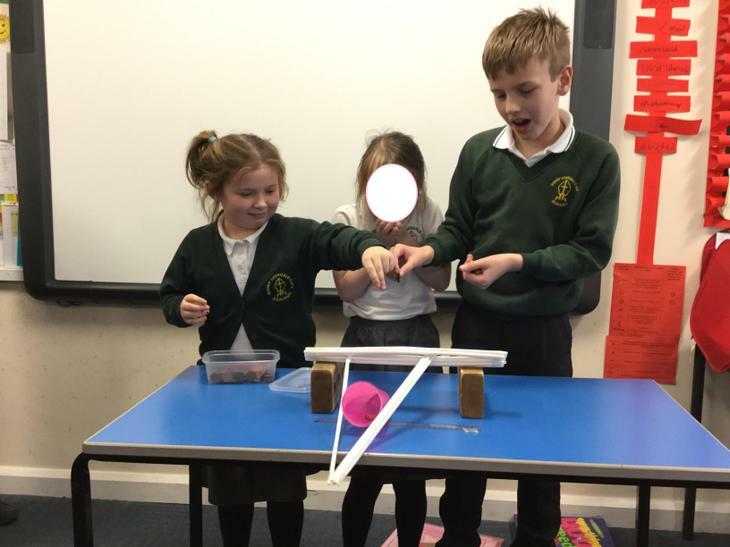 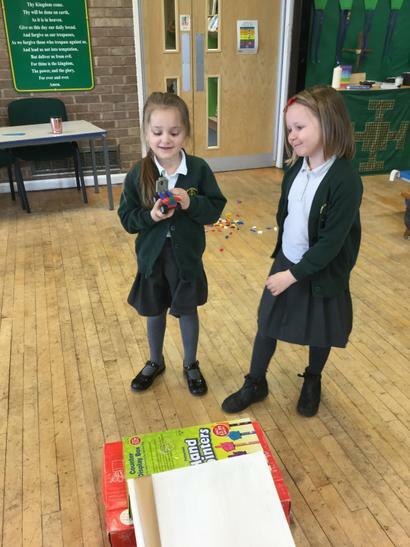 After designing their model, the children constructed their catapult device and tested their model to find the winning invention. 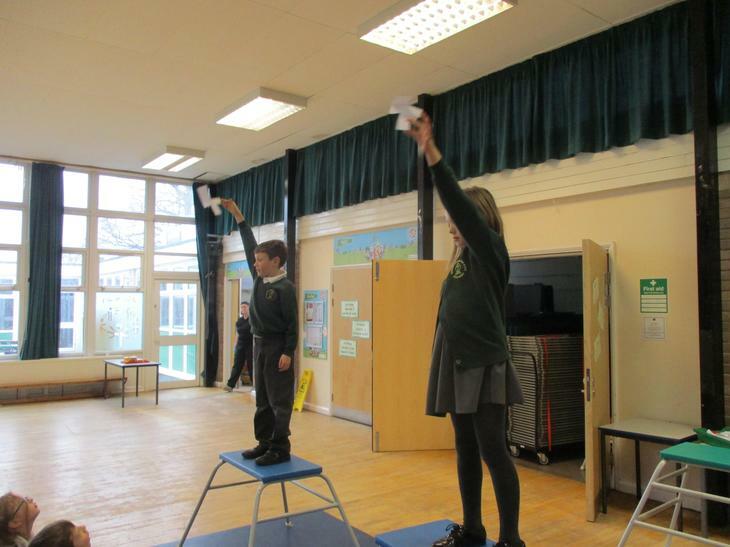 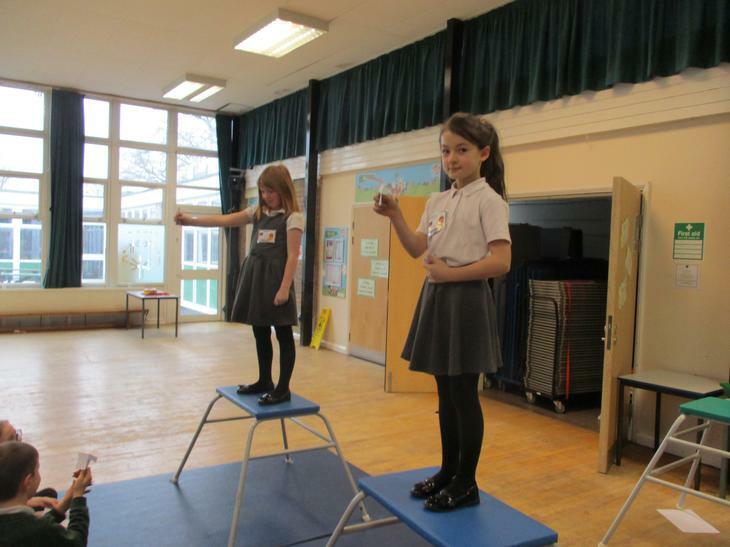 Year 6 had an egg-cellent time taking part in their Egg Drop Challenge. 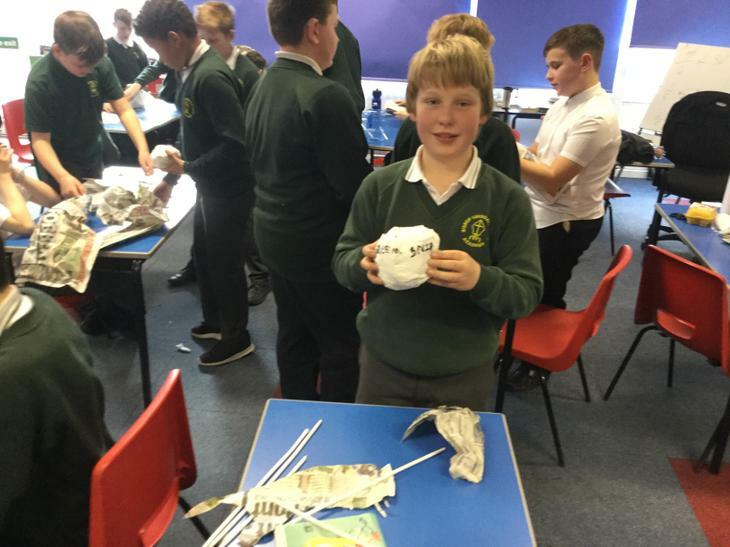 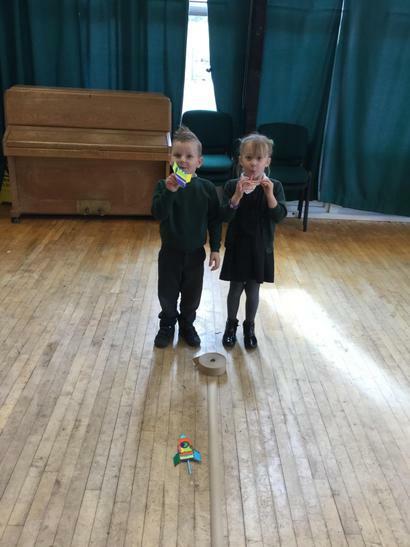 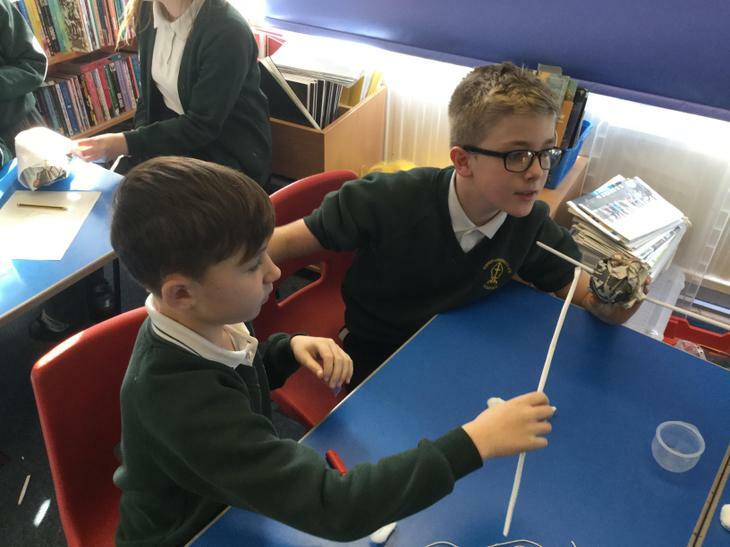 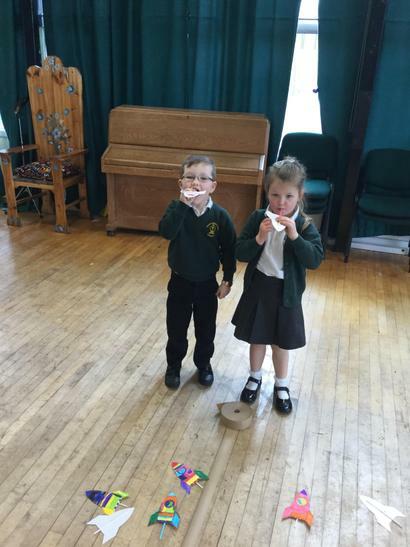 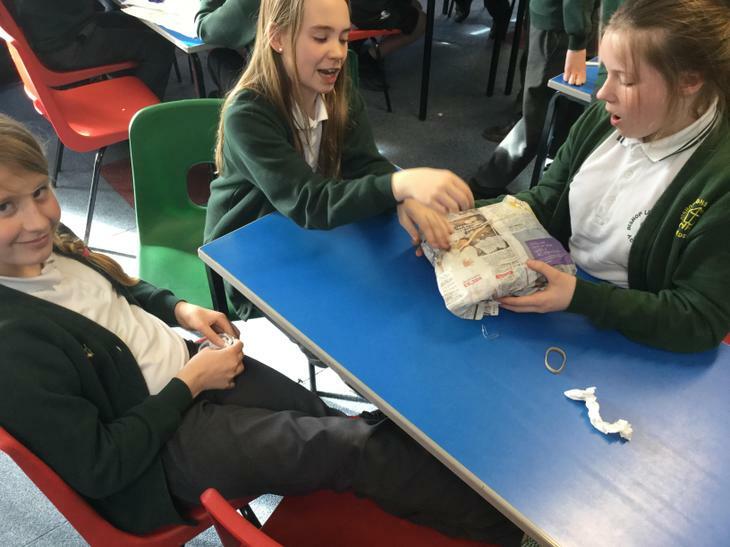 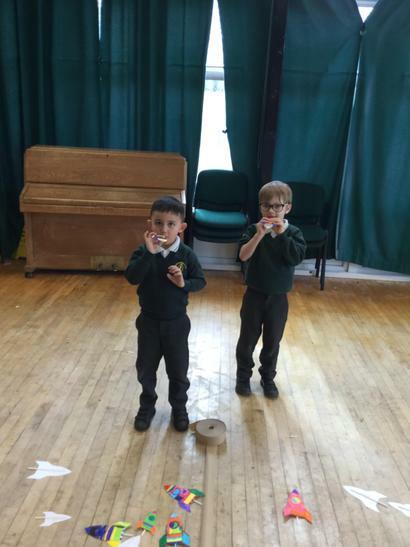 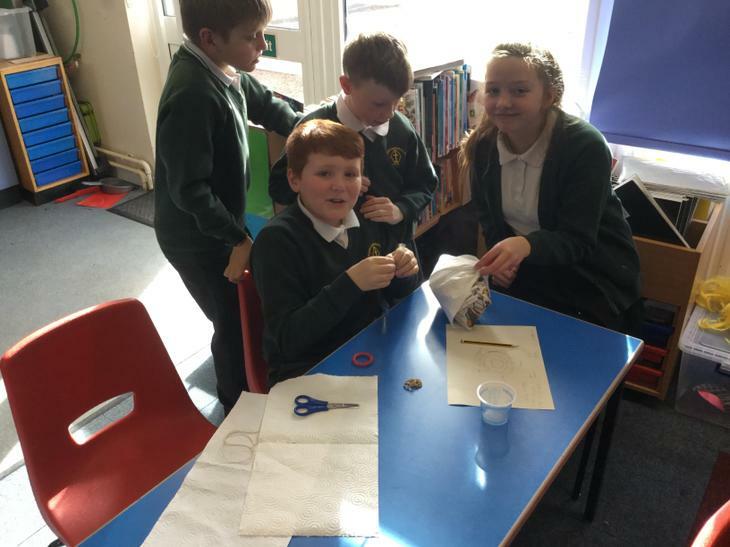 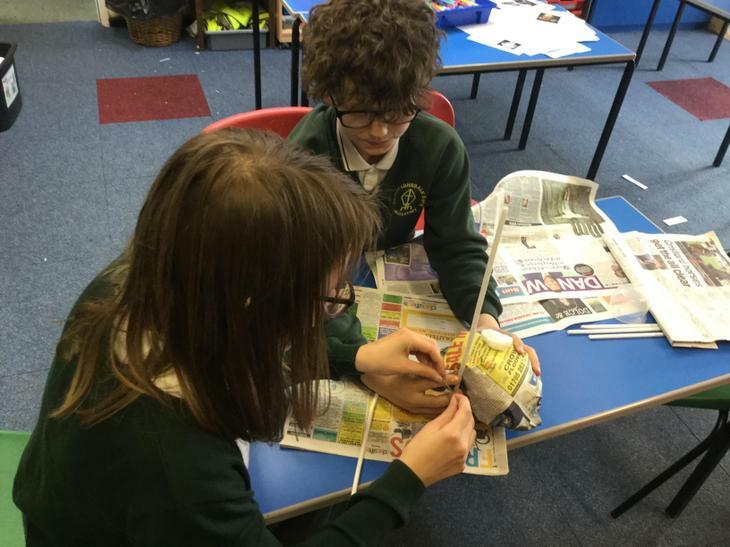 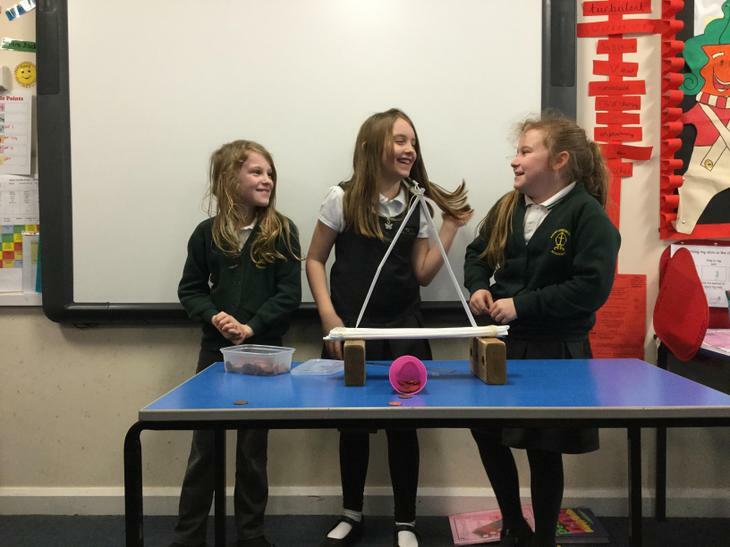 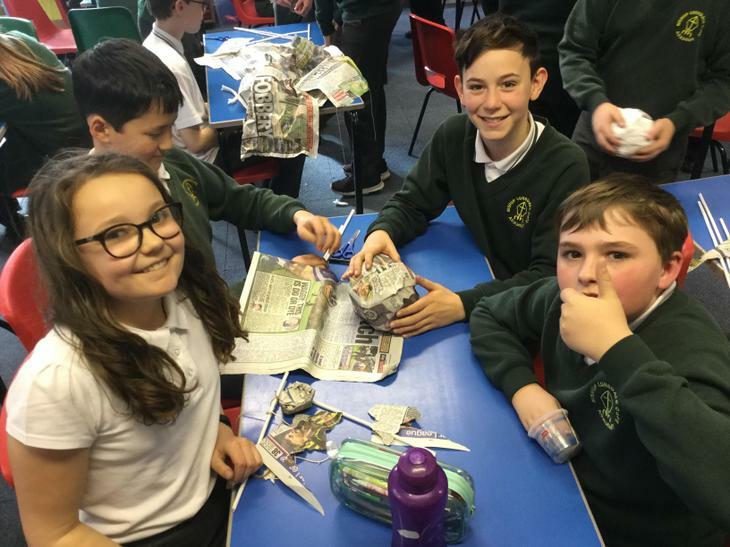 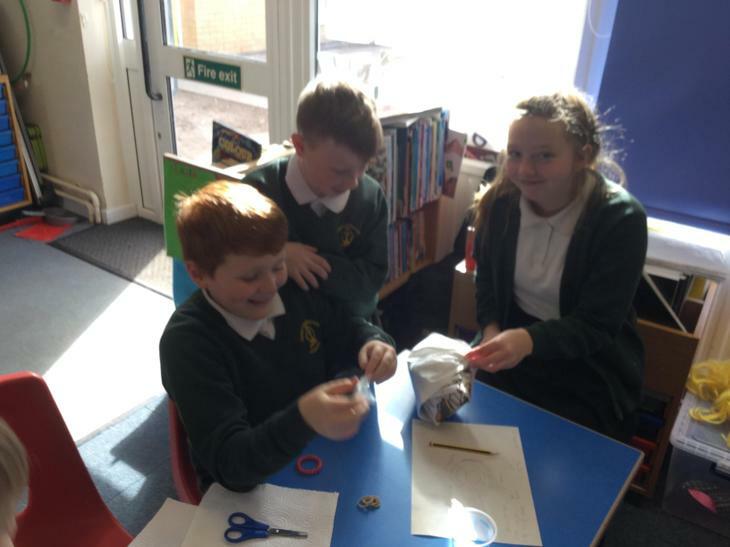 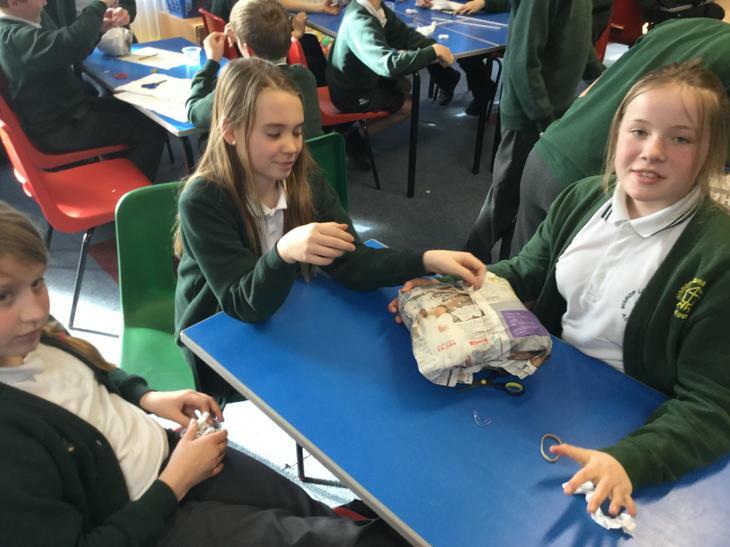 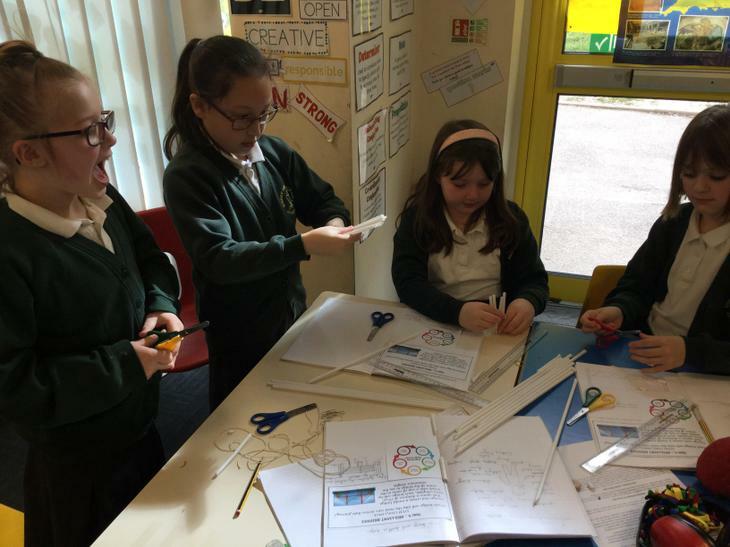 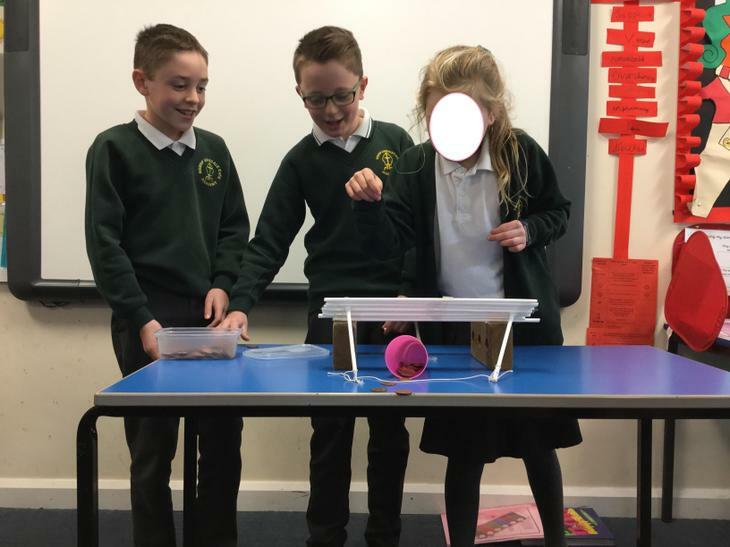 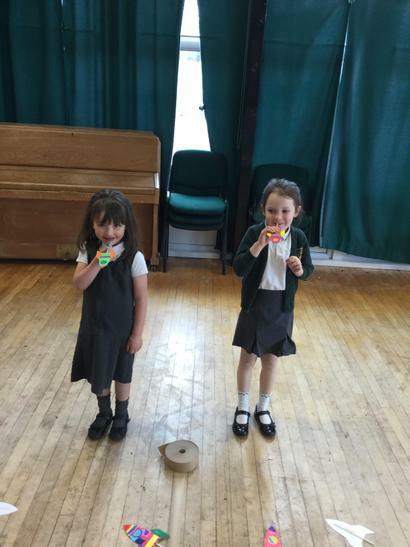 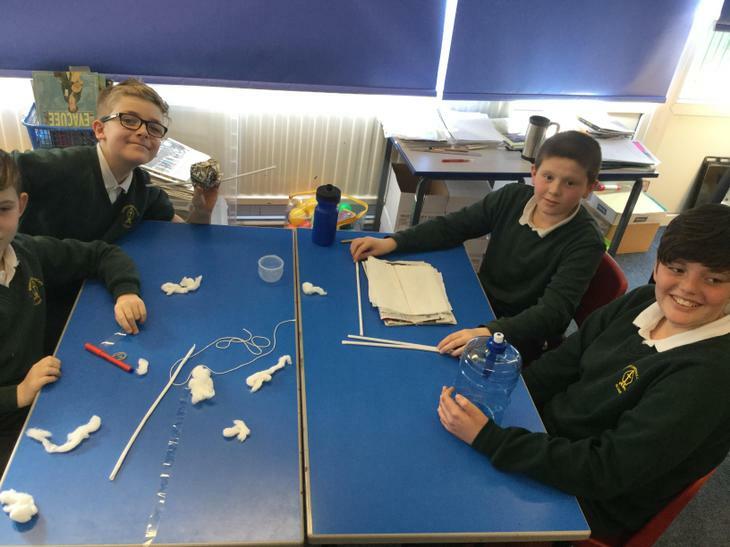 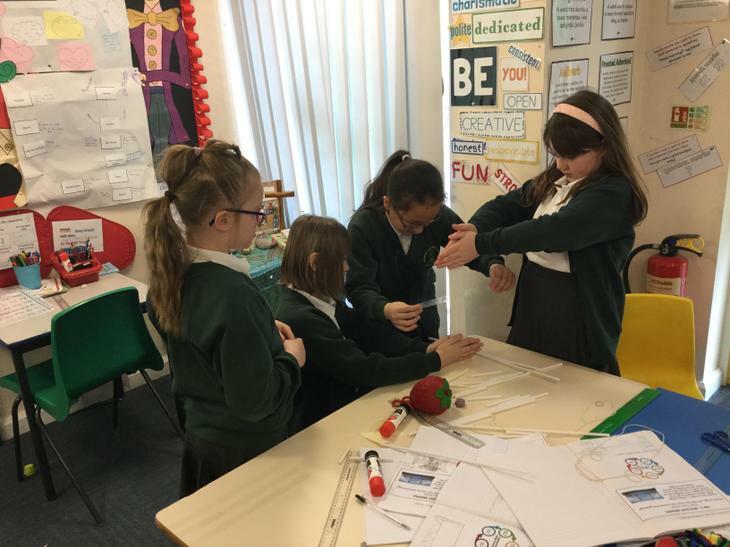 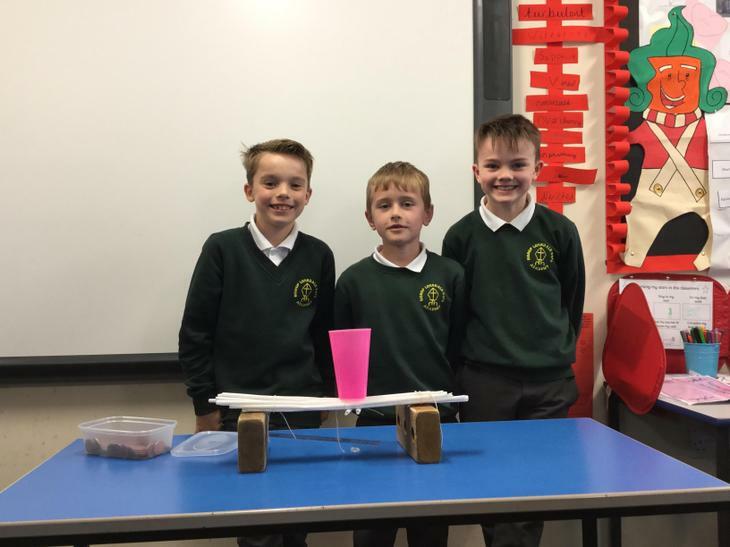 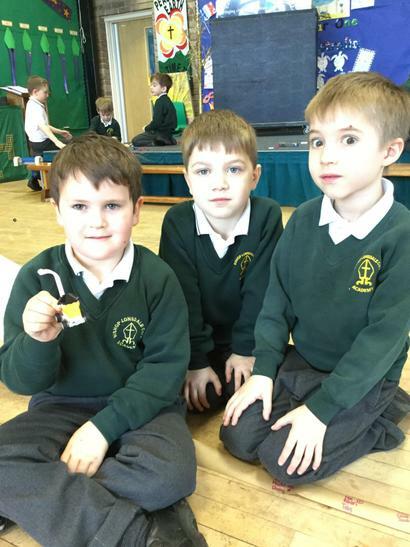 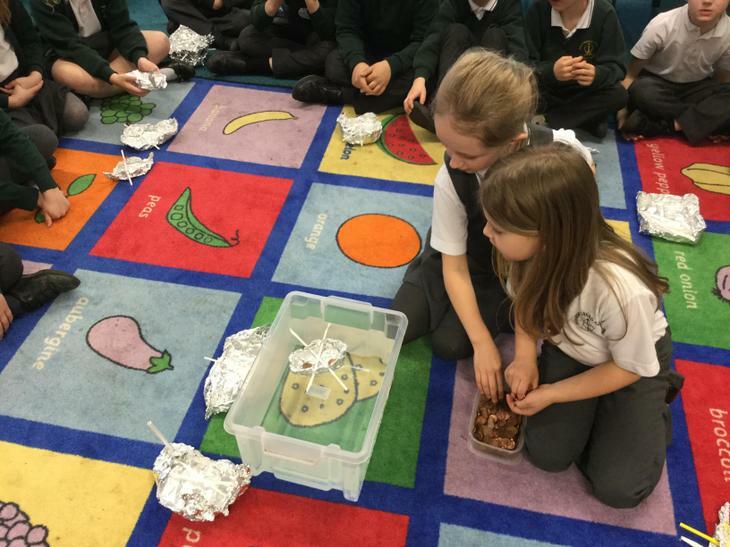 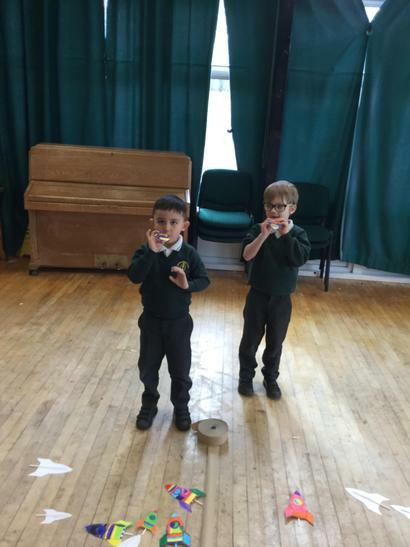 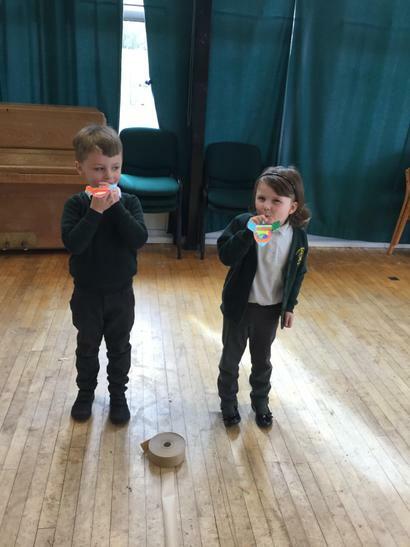 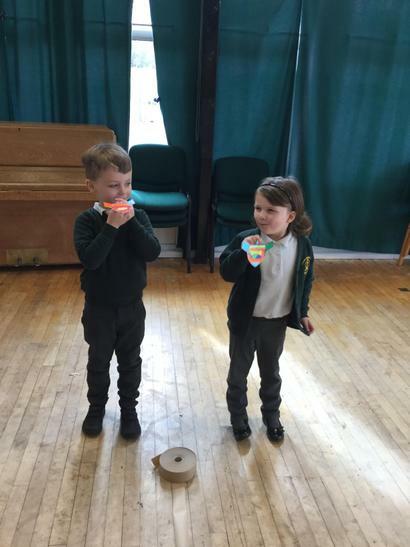 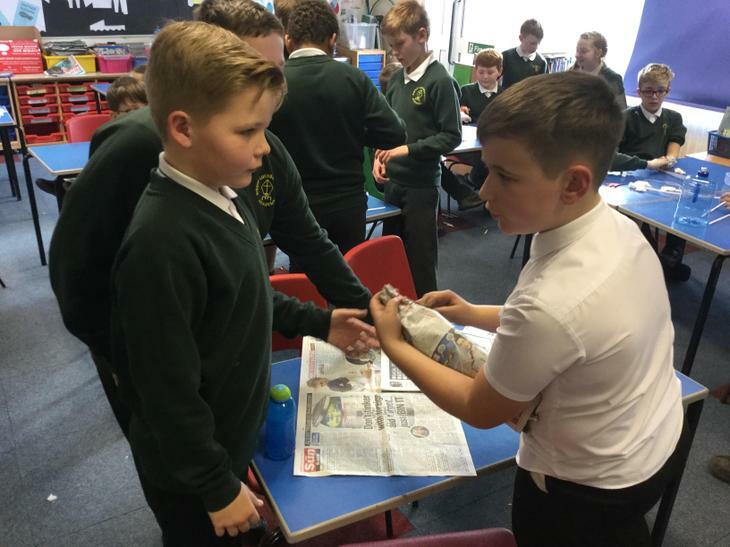 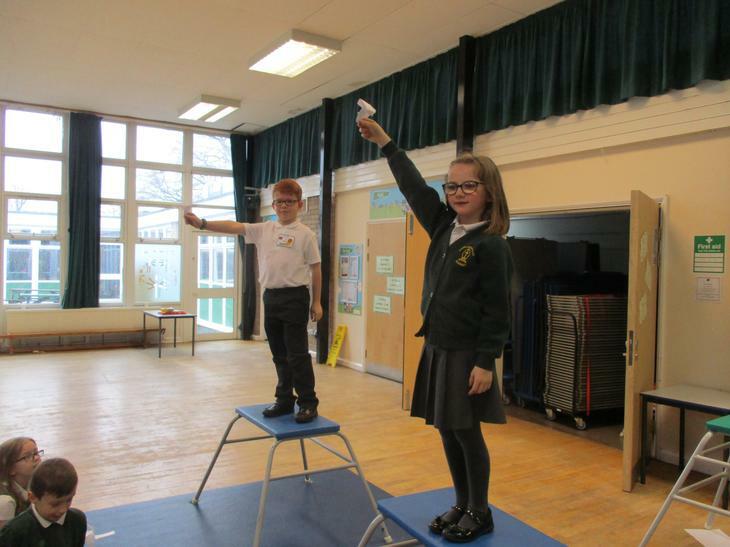 They were supplied with a variety of recycled materials as well as 1m of sticky tape in order to design and construct a device that would safely hold an egg and protect it as it fell from a great height back to earth!